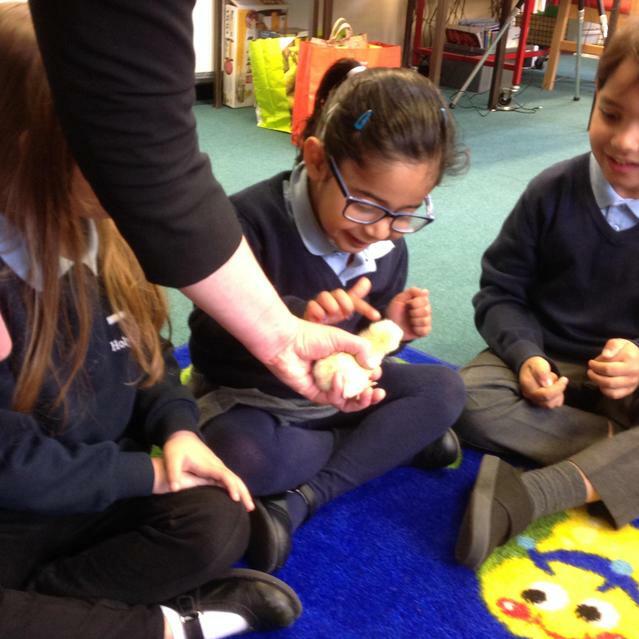 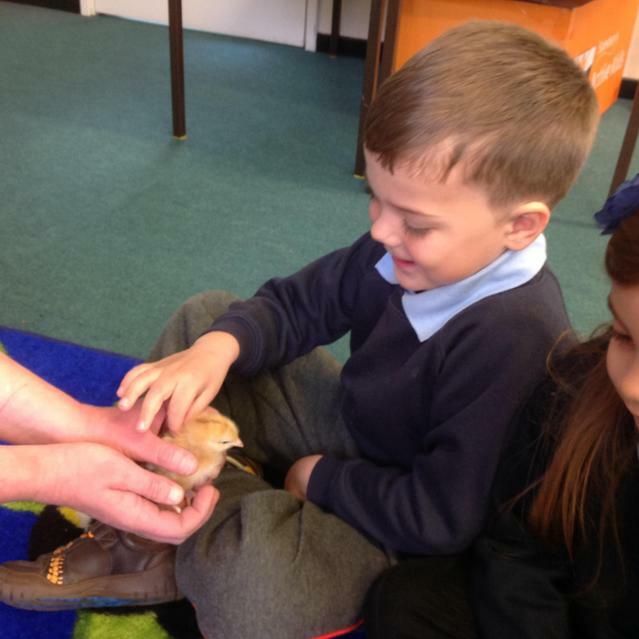 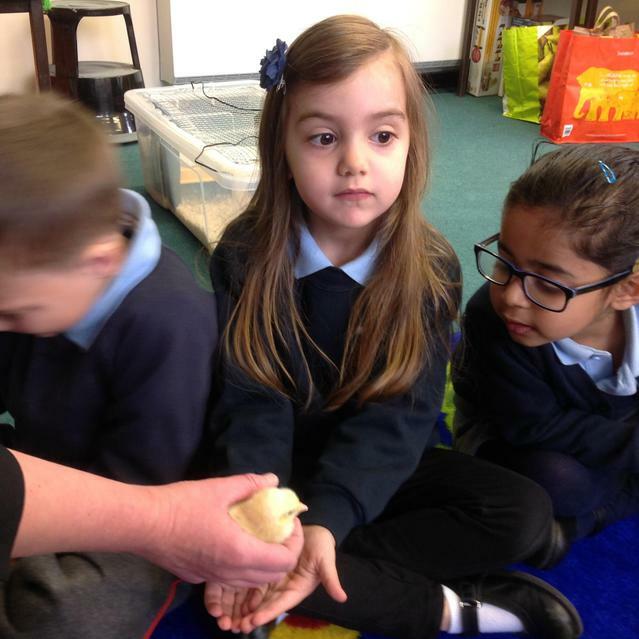 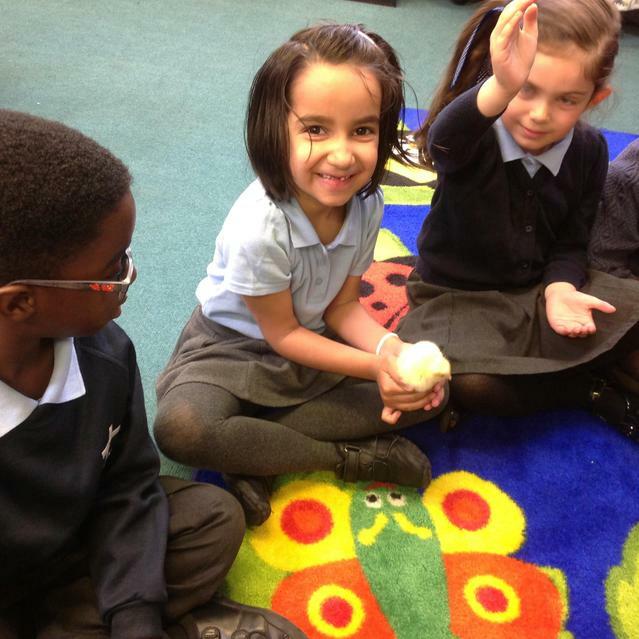 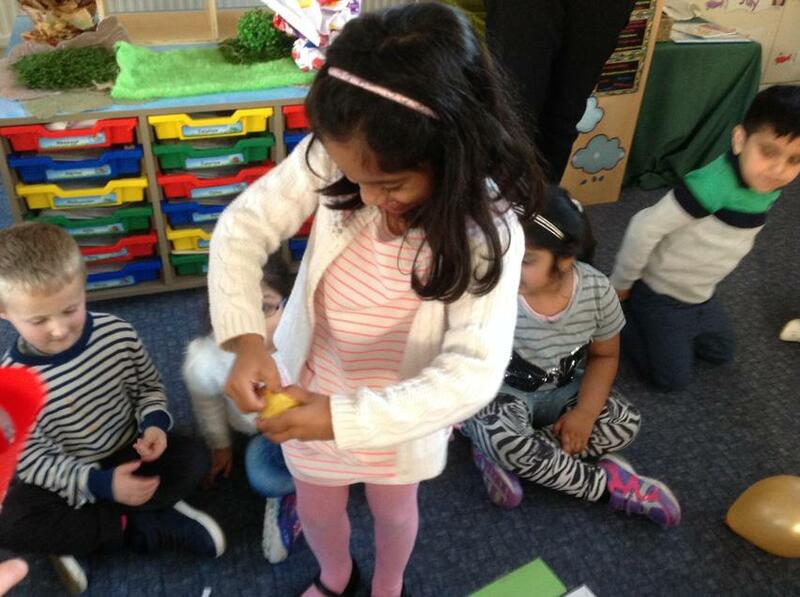 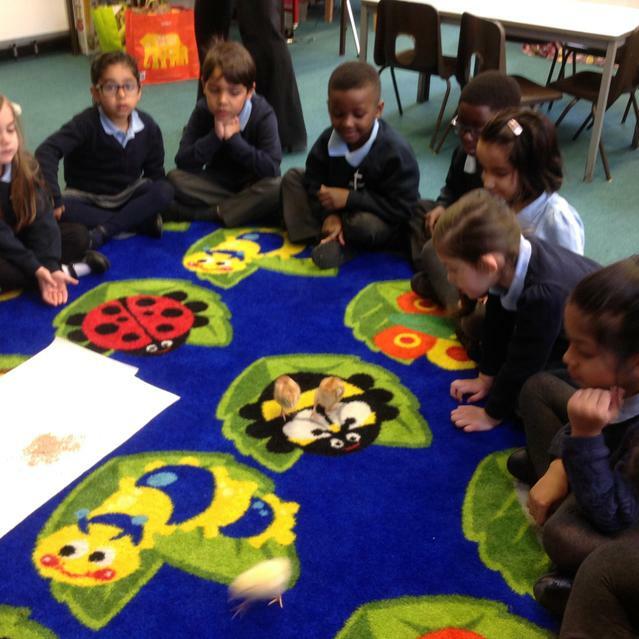 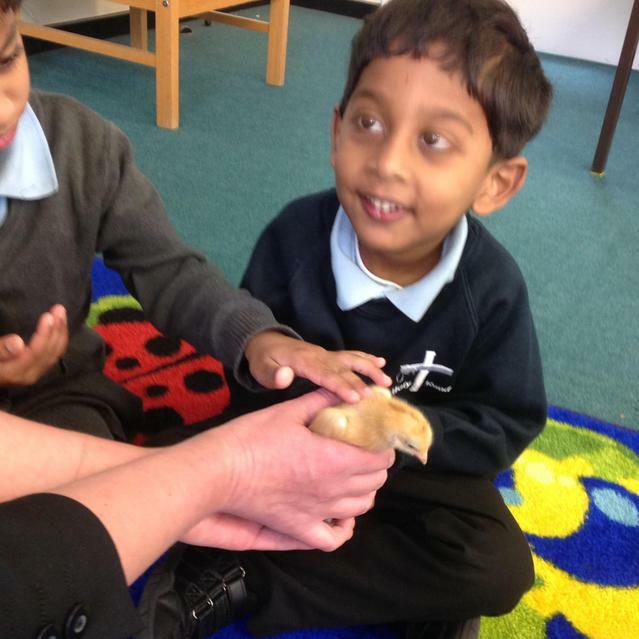 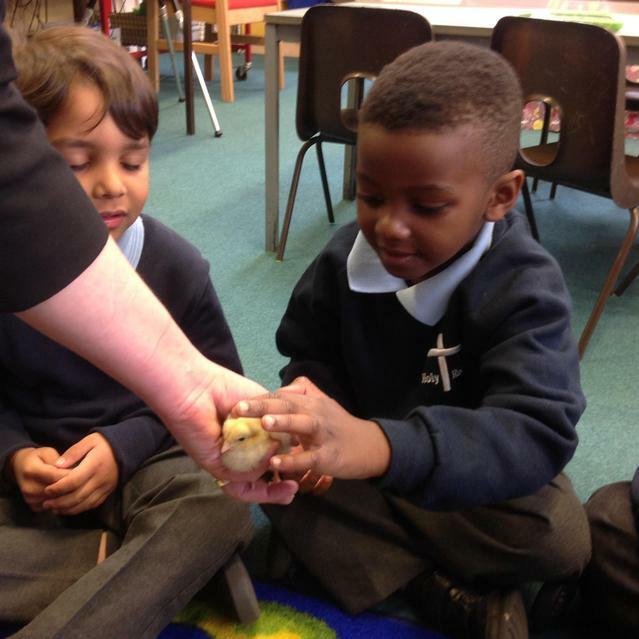 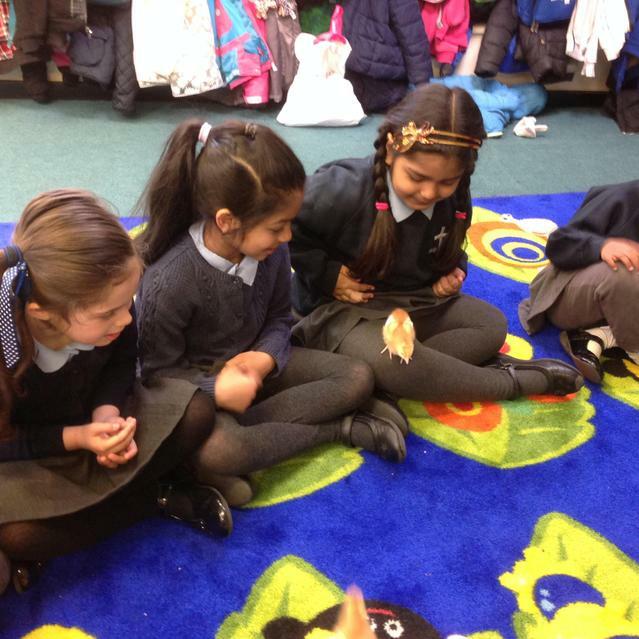 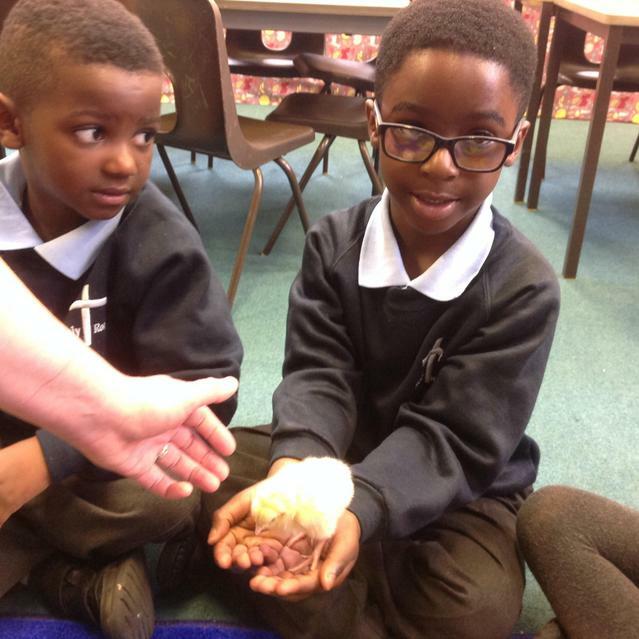 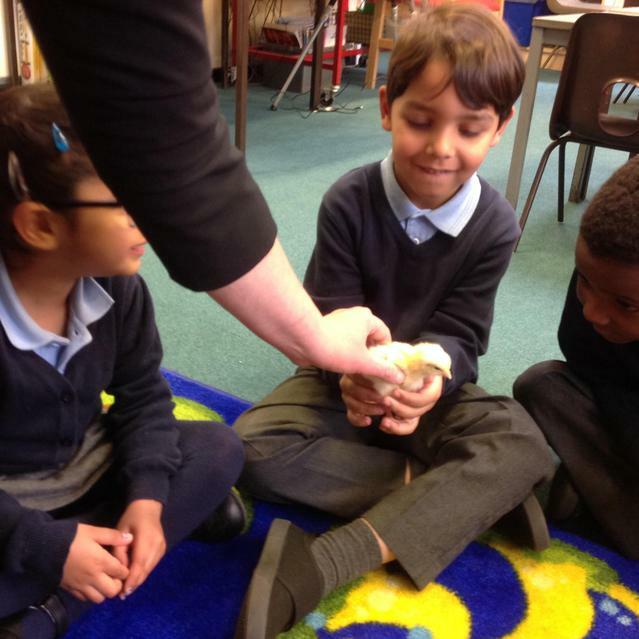 We were very excited about our eggs hatching in school, and went to visit the new chicks. 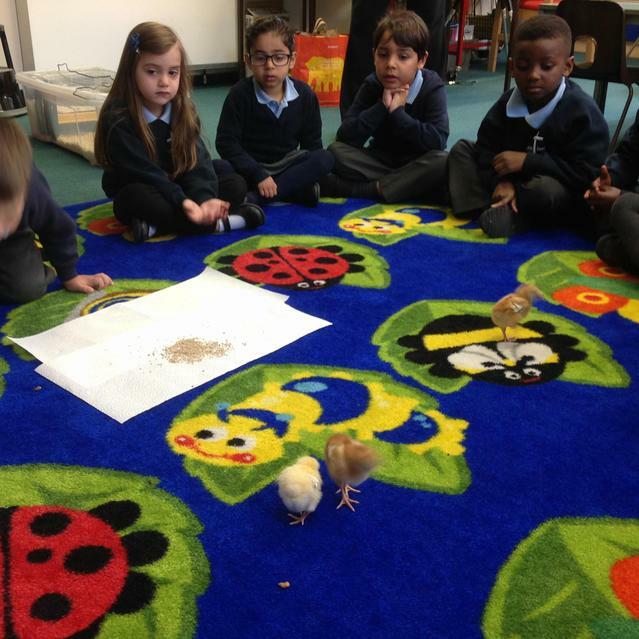 As you can see, the chicks were very excited too, and kept jumping down to try and eat the green coloured wool on the rug! 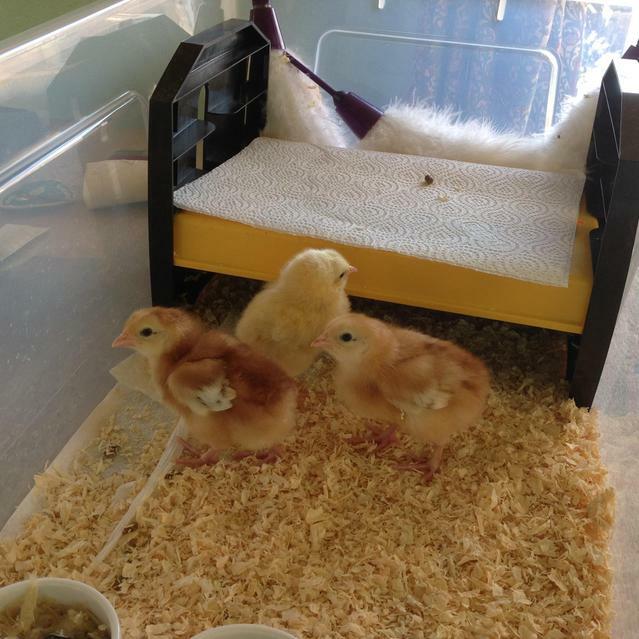 It was very difficult to hold them without them testing out their little wings and jumping back down, but we all managed to use our whispering voices and very slow and gentle hands, and the chicks seemed to enjoy their walk on the 'grass'. 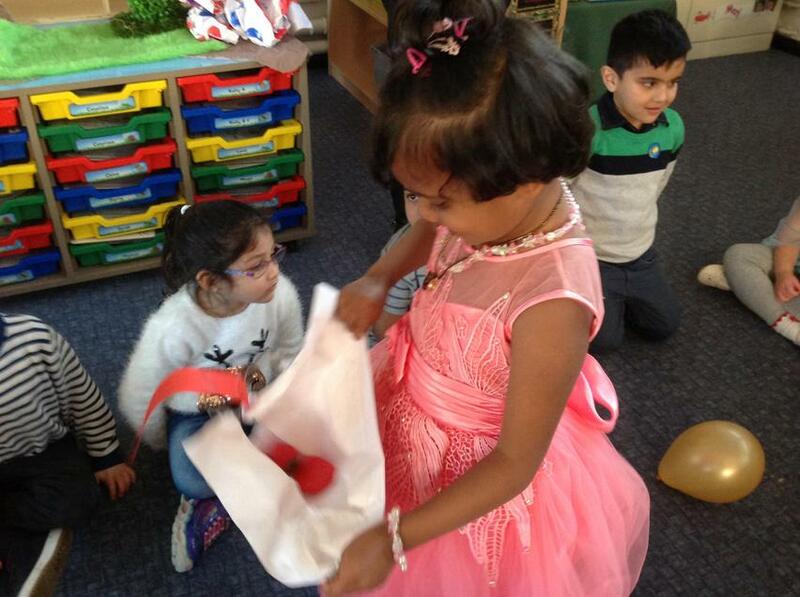 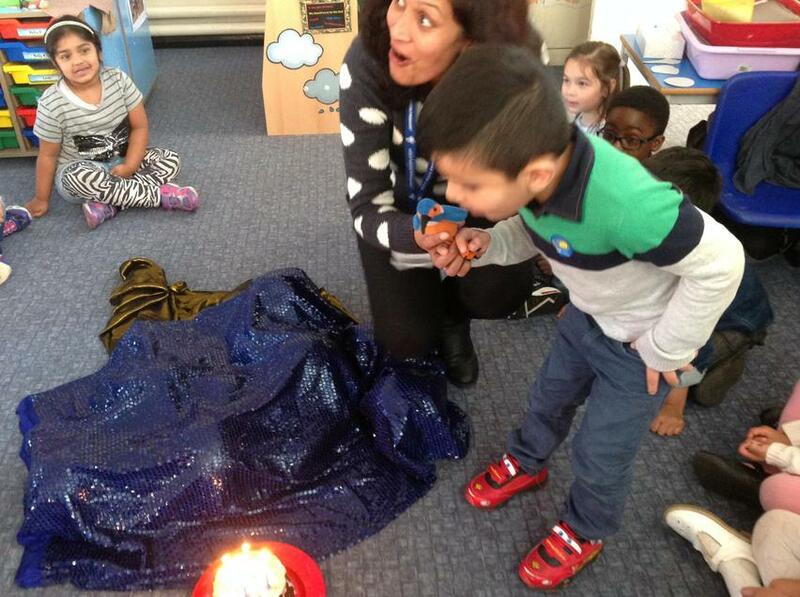 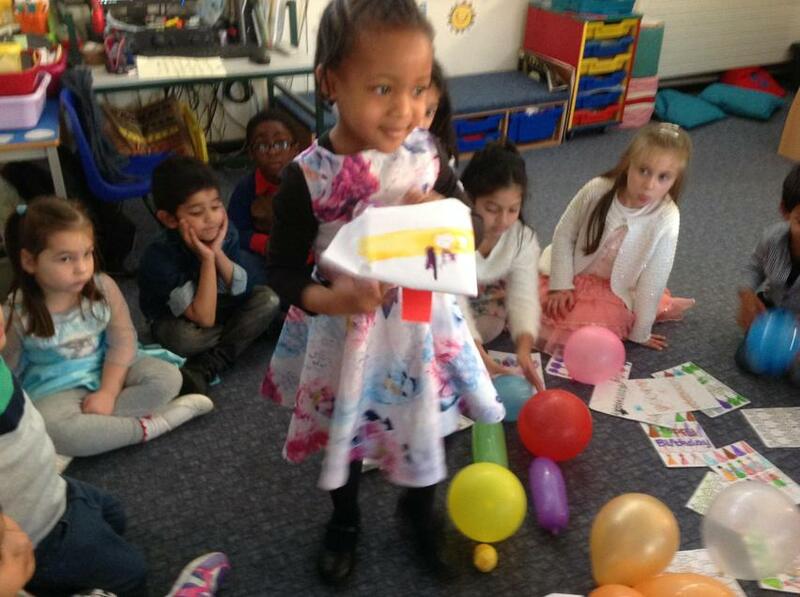 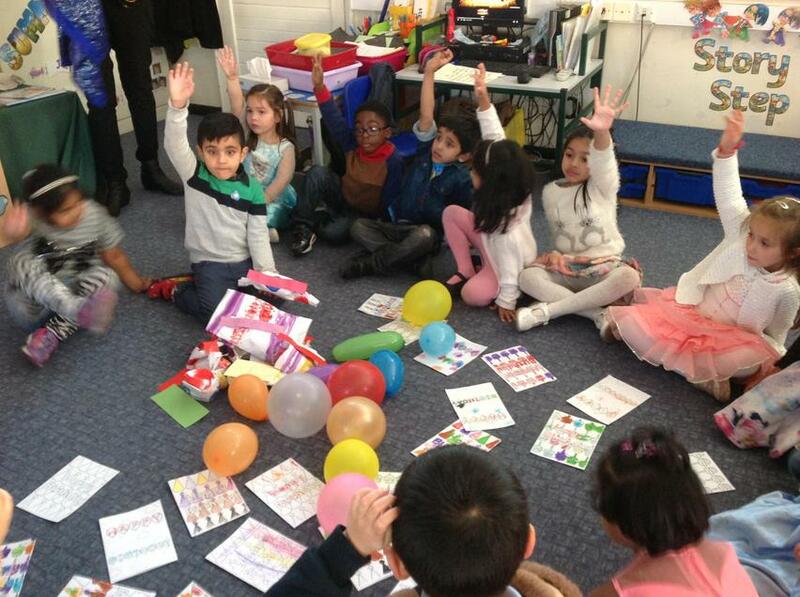 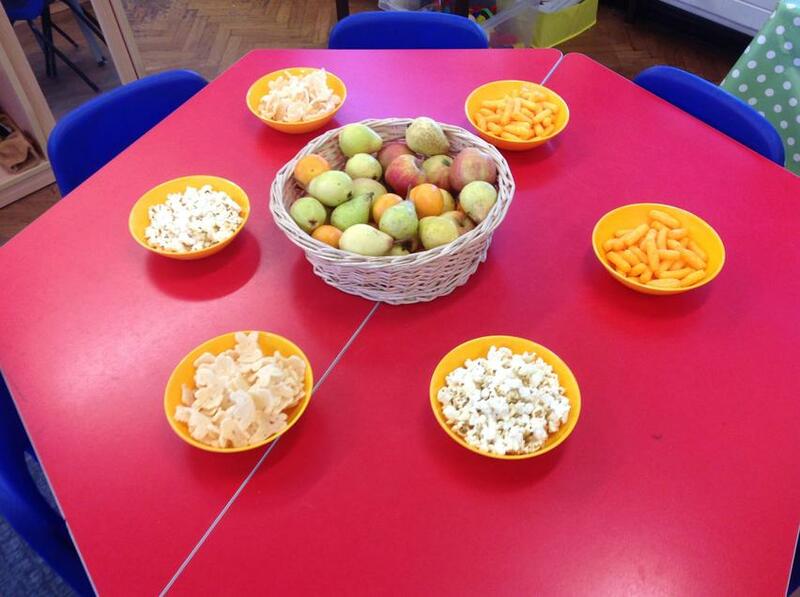 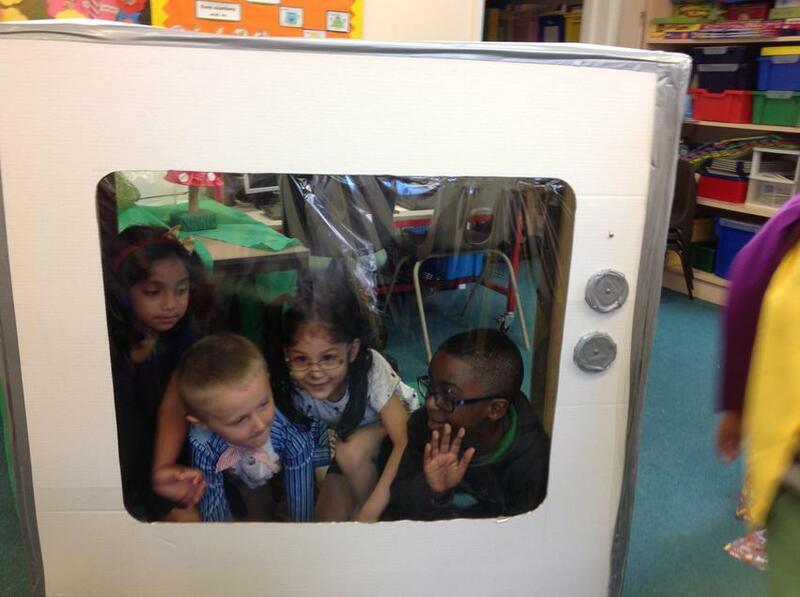 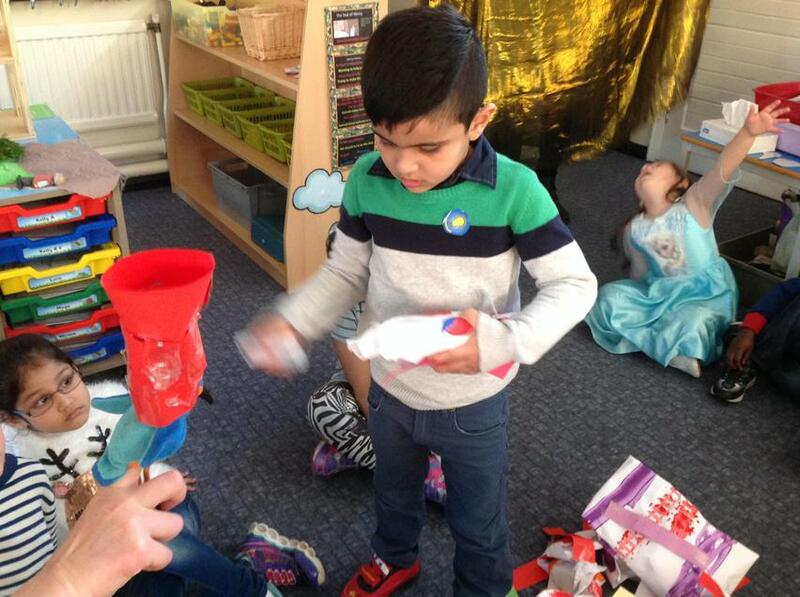 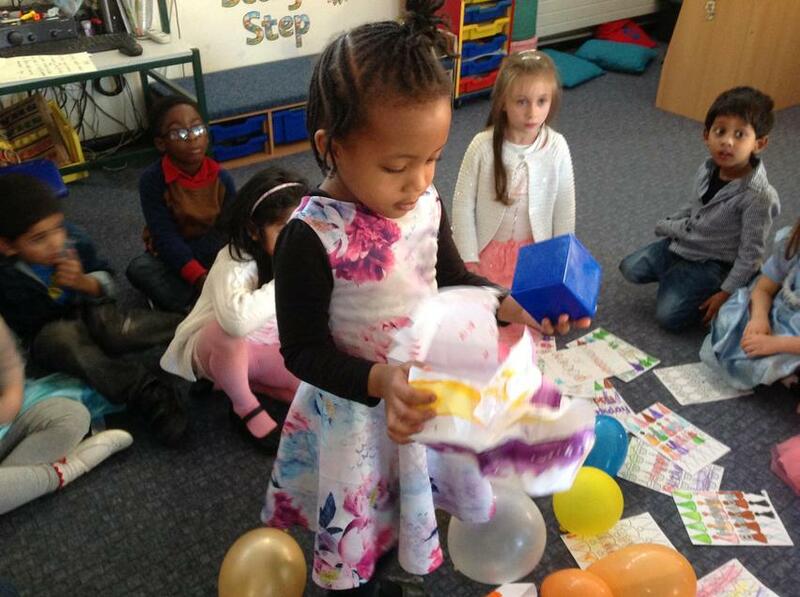 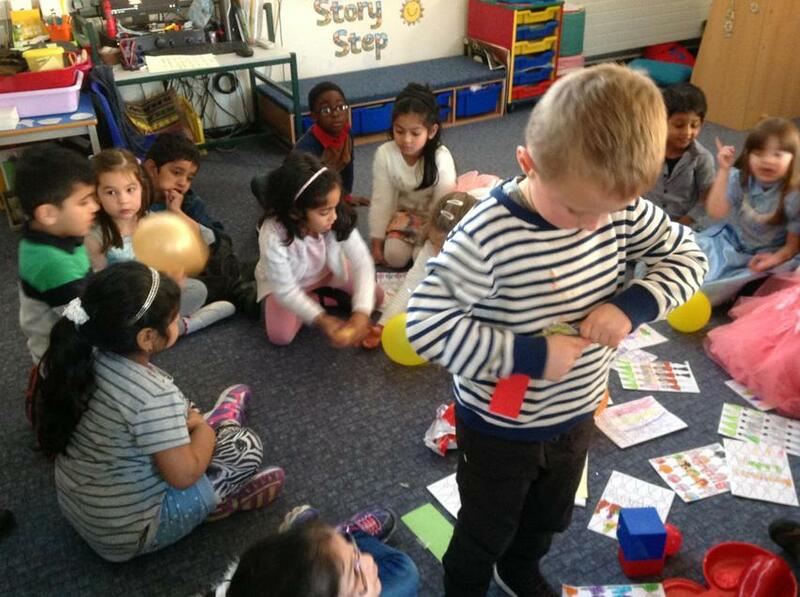 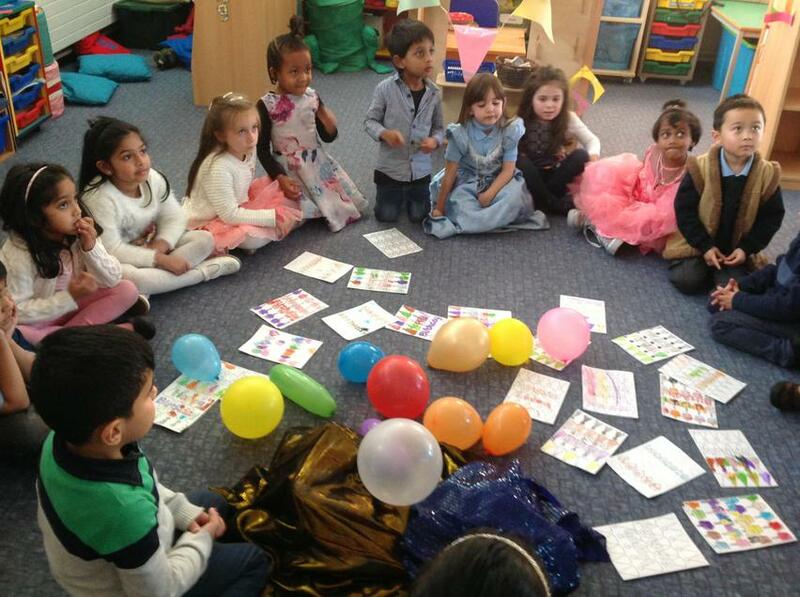 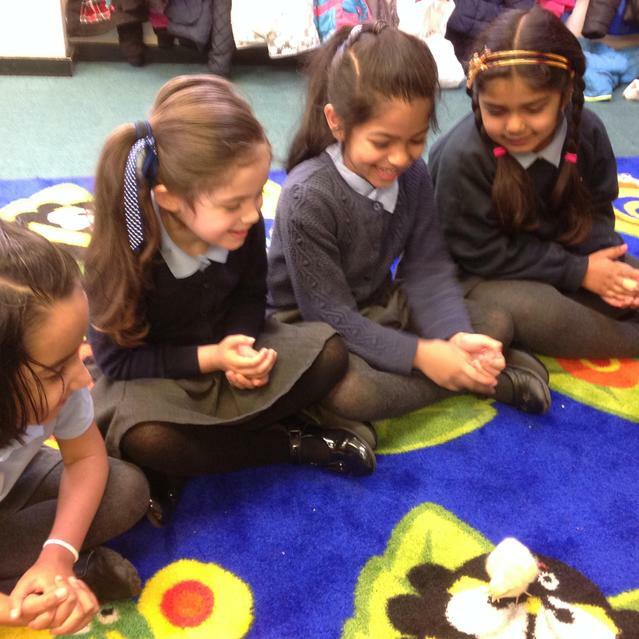 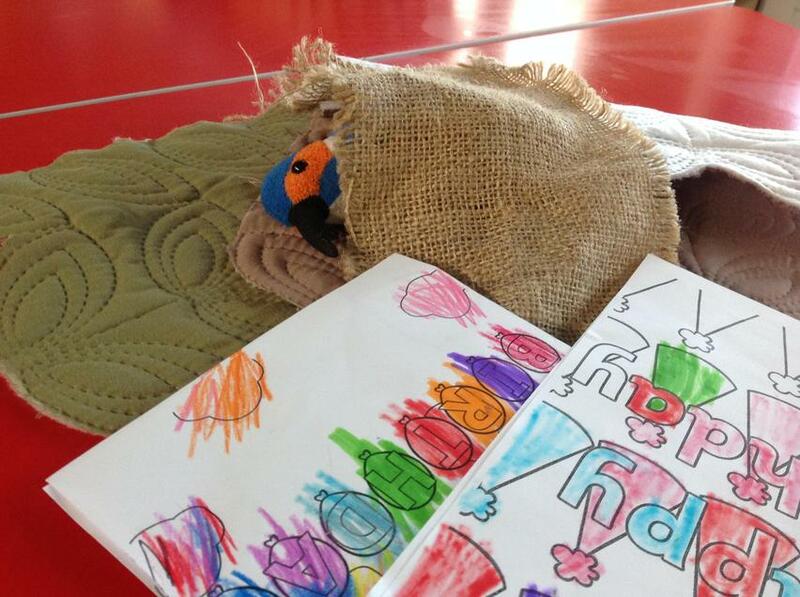 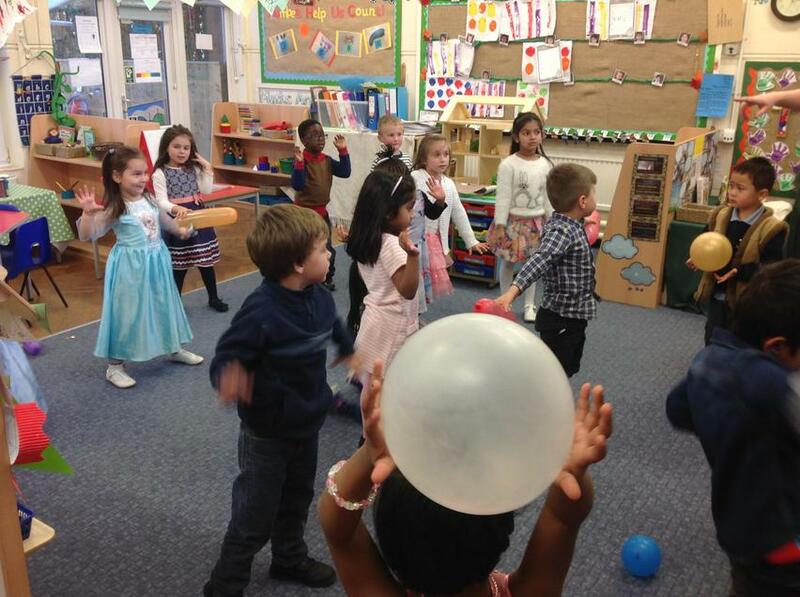 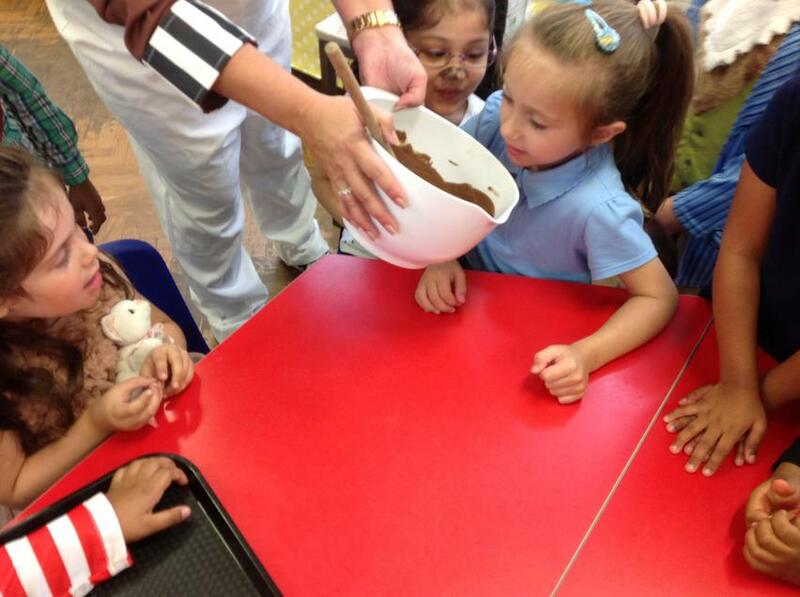 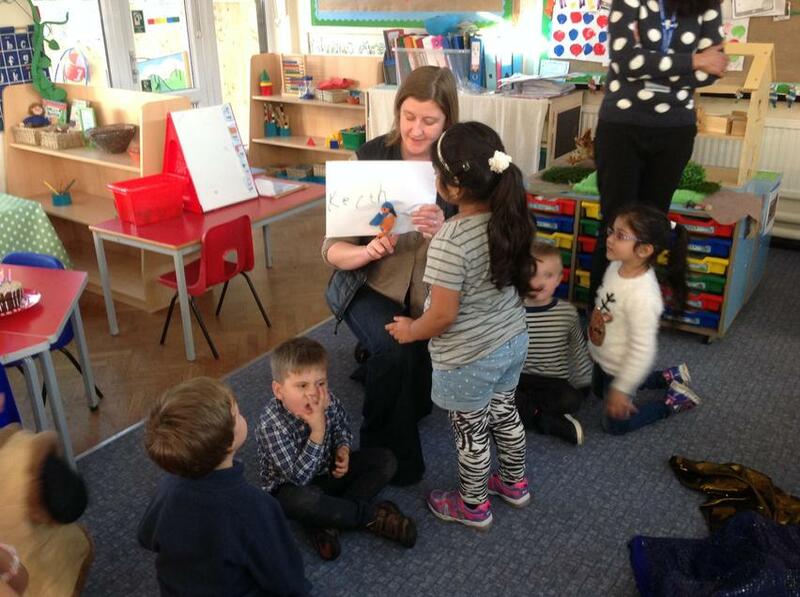 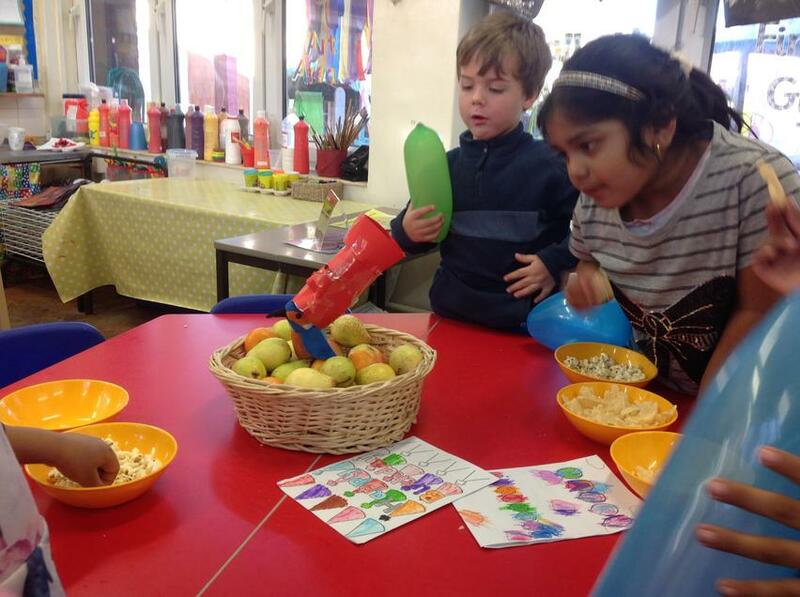 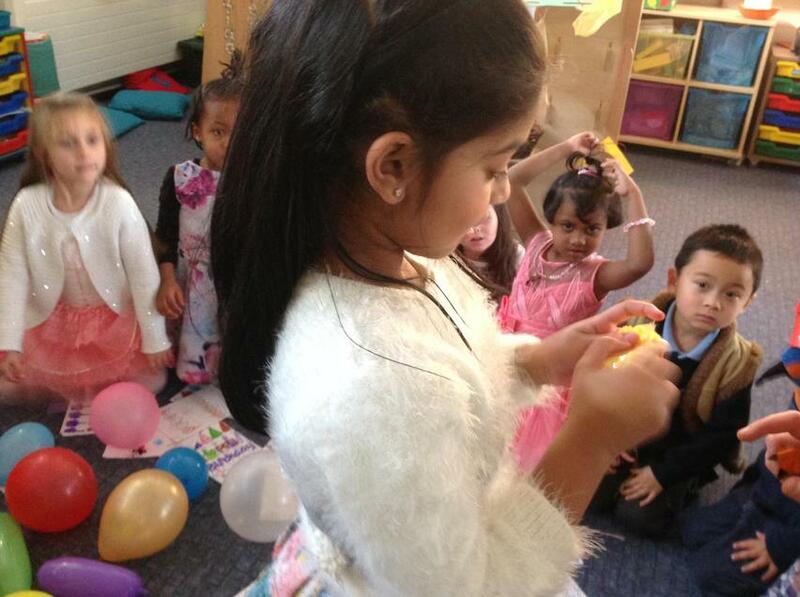 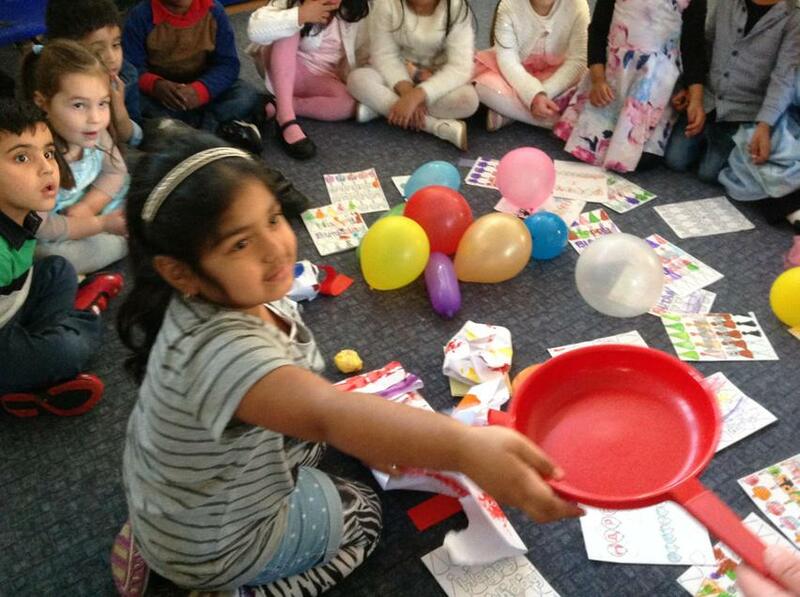 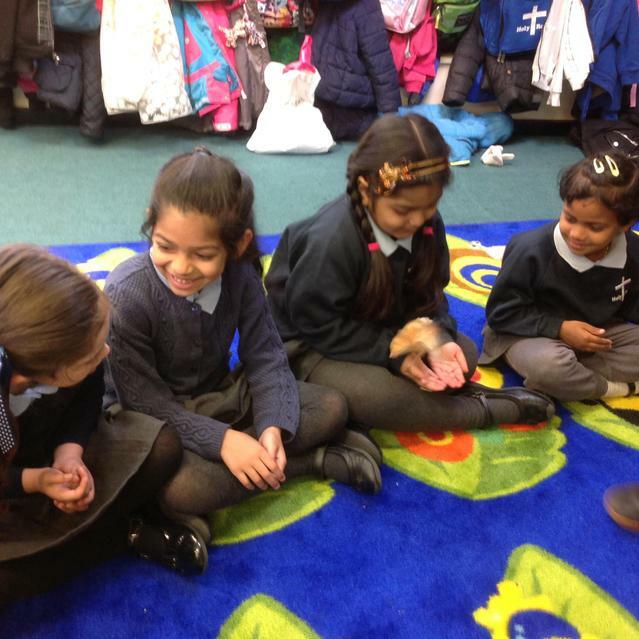 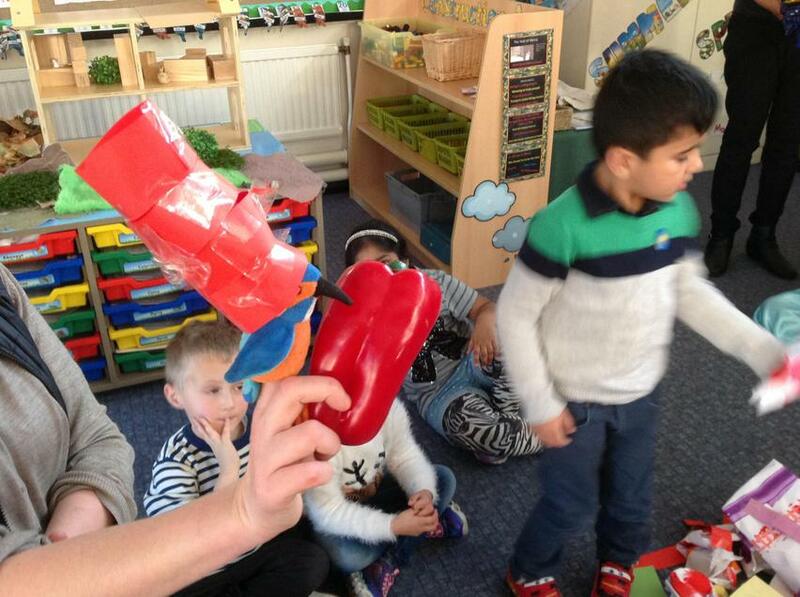 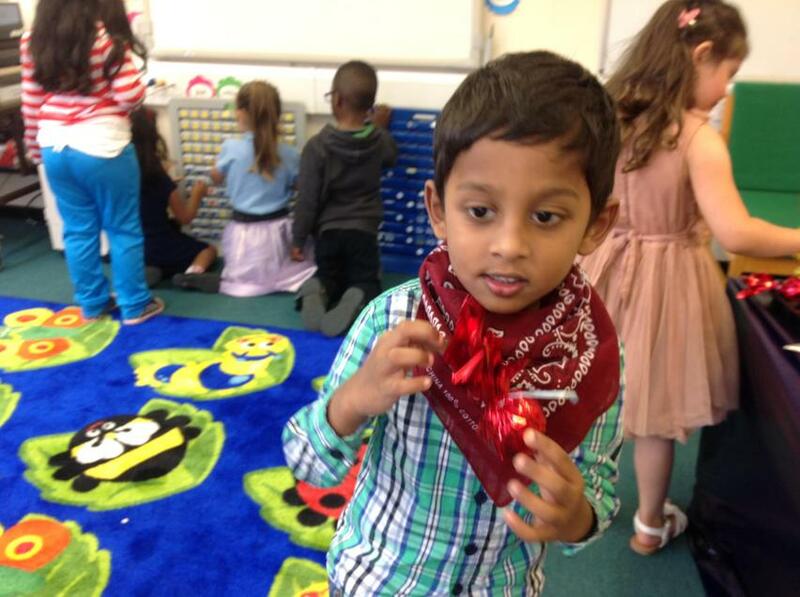 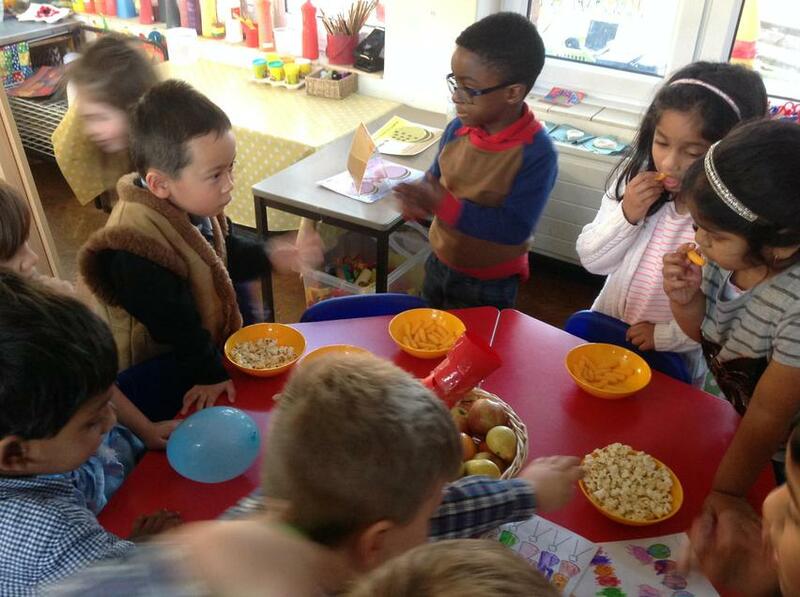 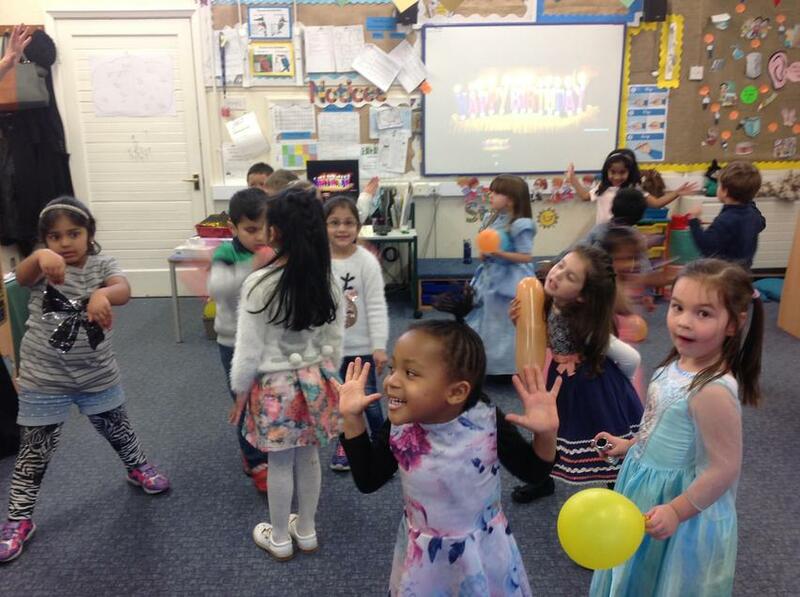 We had a very busy week organising a surprise birthday party for our class pet, Keith. 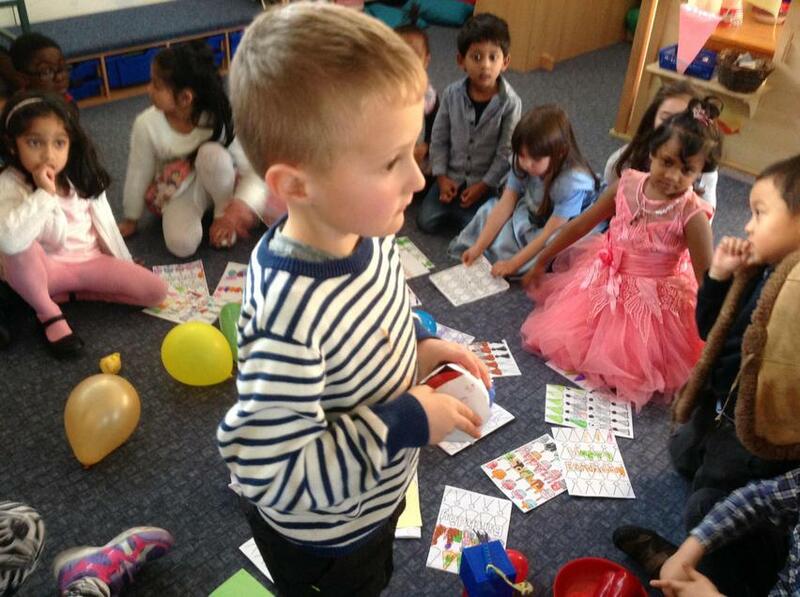 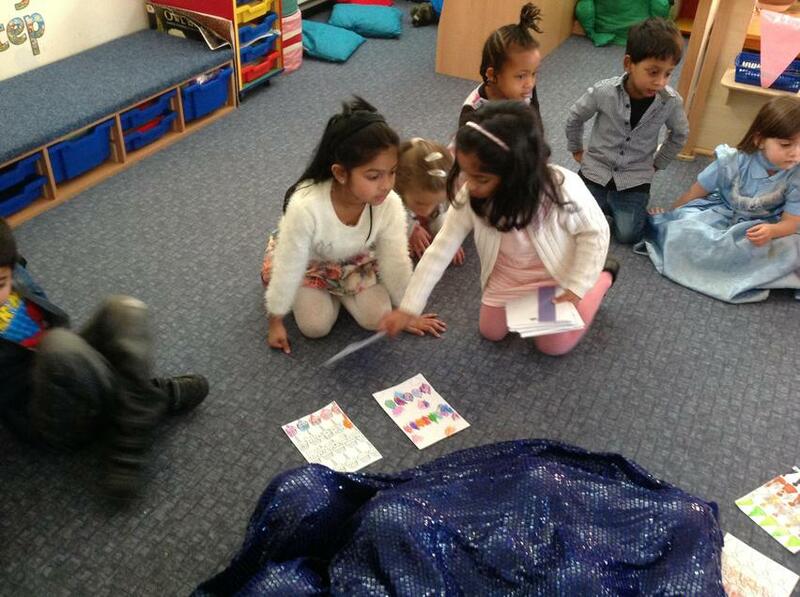 There were cards to write, presents to wrap and party games to practise. 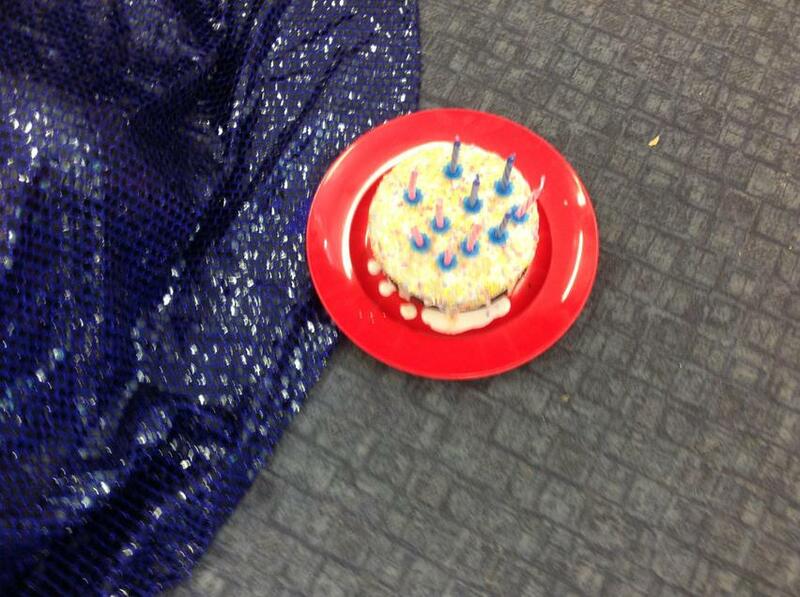 We even made Keith a tiny party hat so that he wouldn't feel left out. 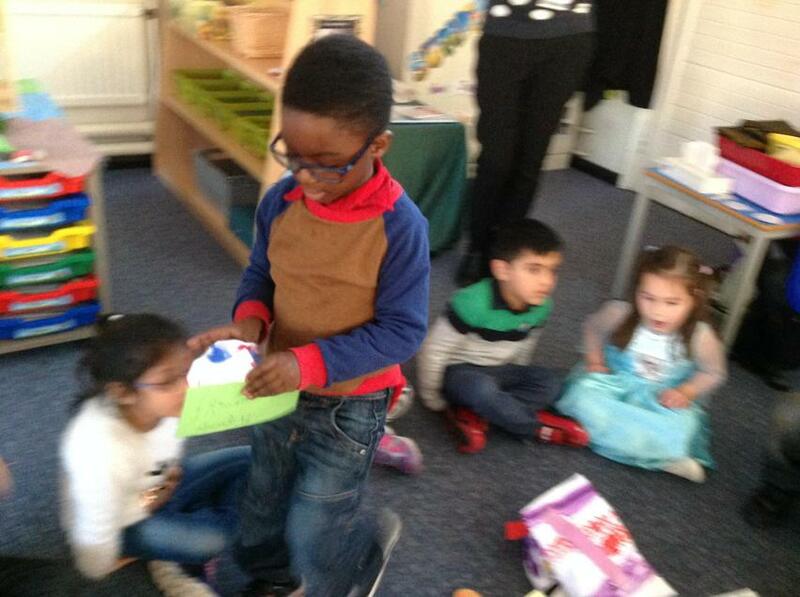 He was thrilled that we'd remembered his birthday, and loved all his presents. 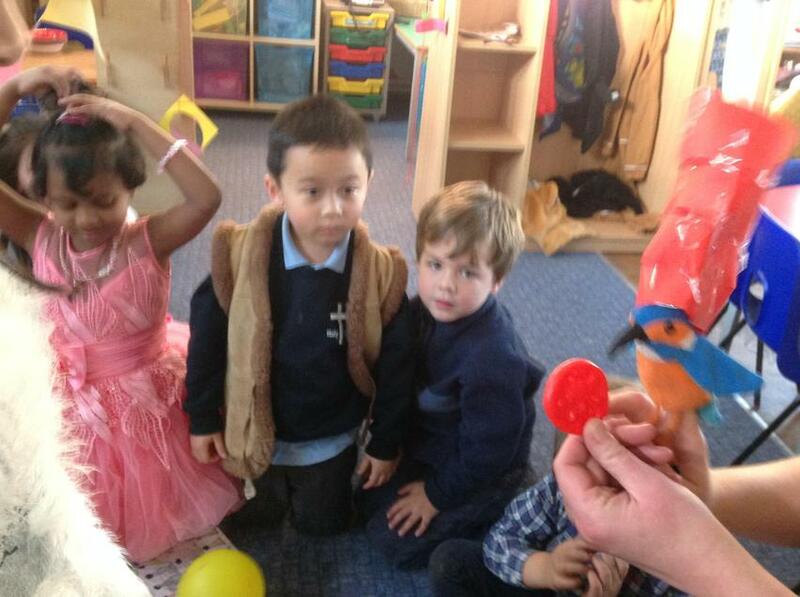 He needed a lie down after his party, as he'd tired himself out with all that dancing! 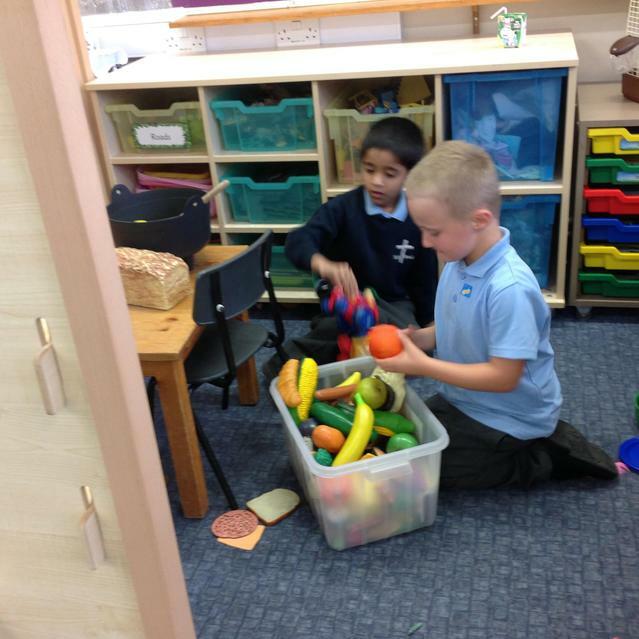 Can you guess Keith's favourite colour? 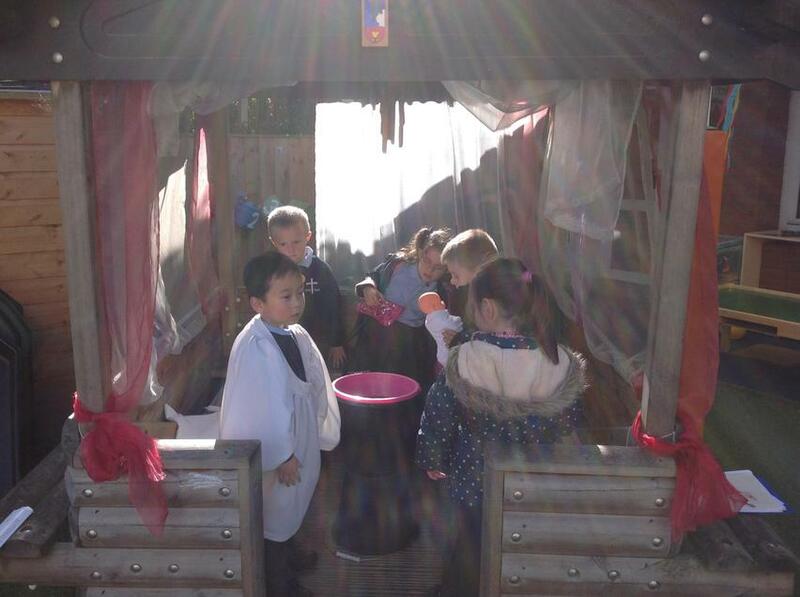 Baptising Baby. 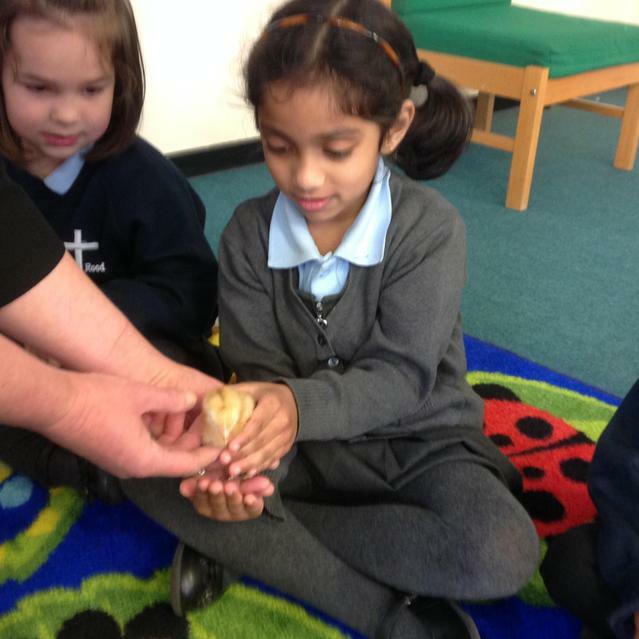 We've been thinking about how we can welcome people, and about how it feels to be welcomed. 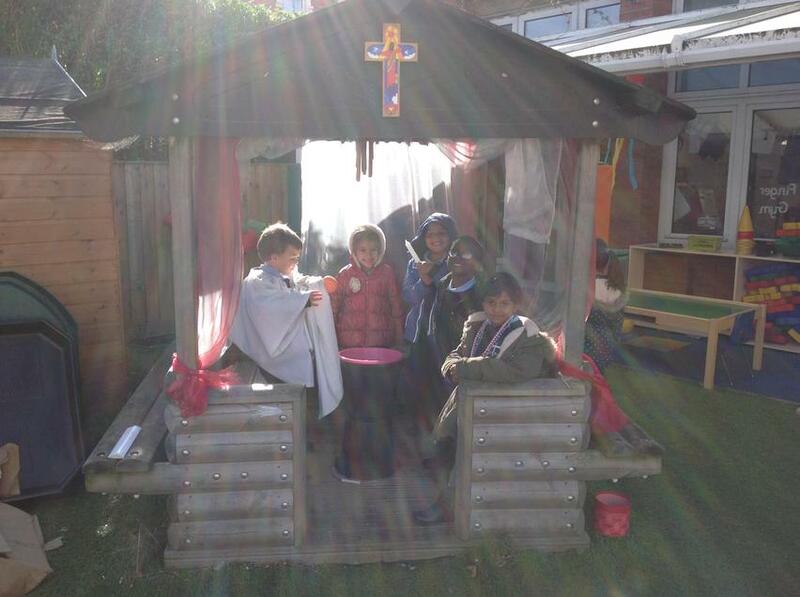 Today we looked at how the Church welcomes people into God's family. 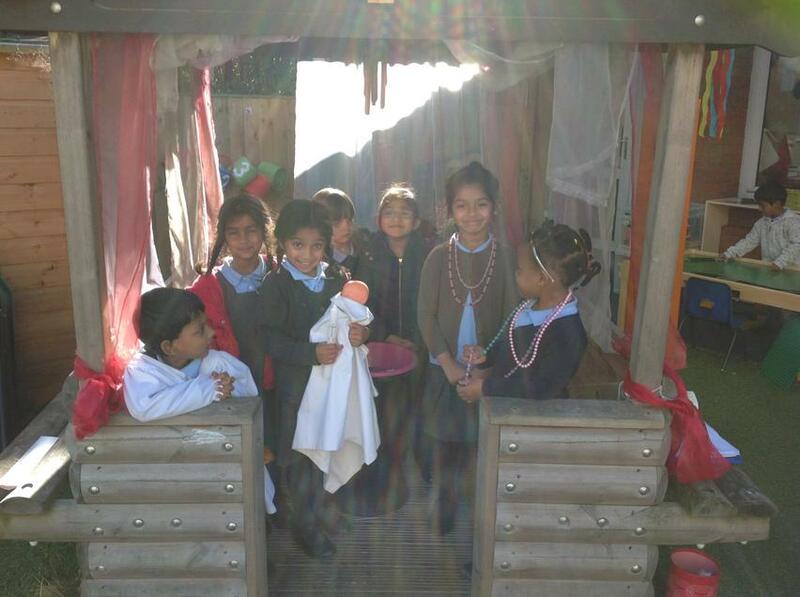 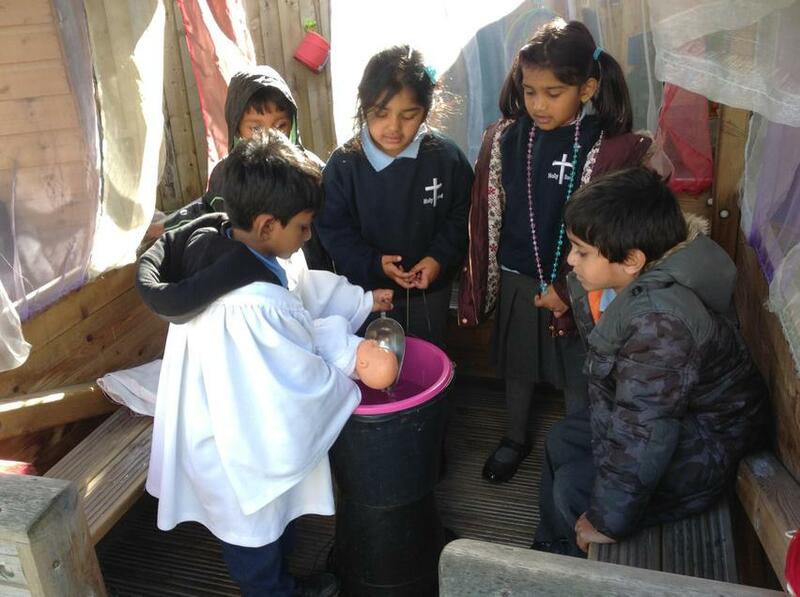 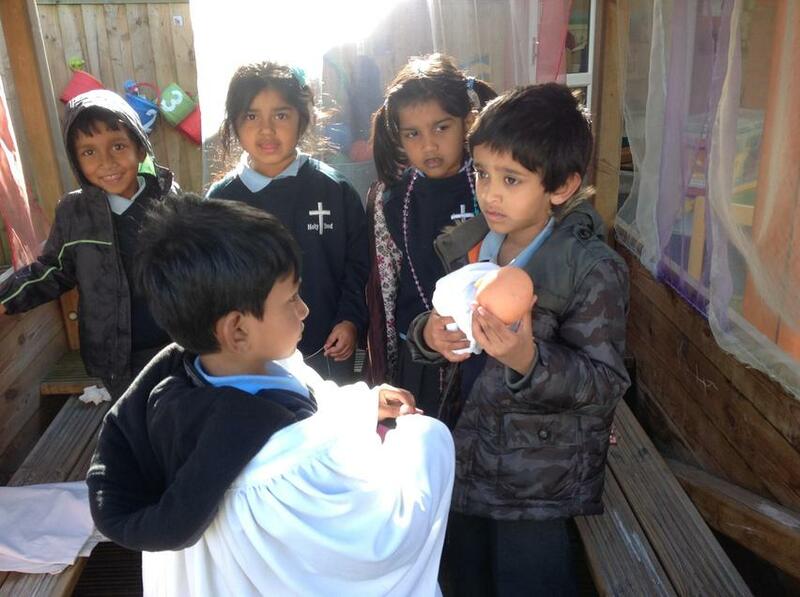 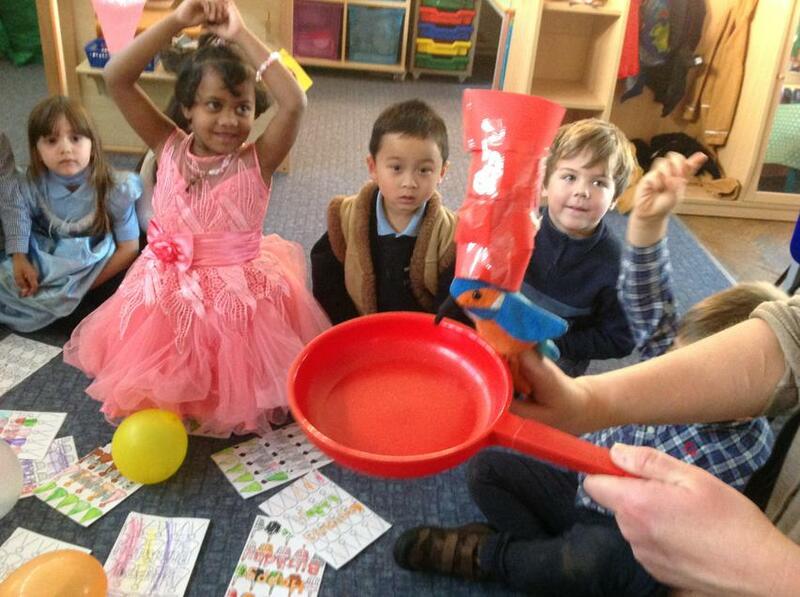 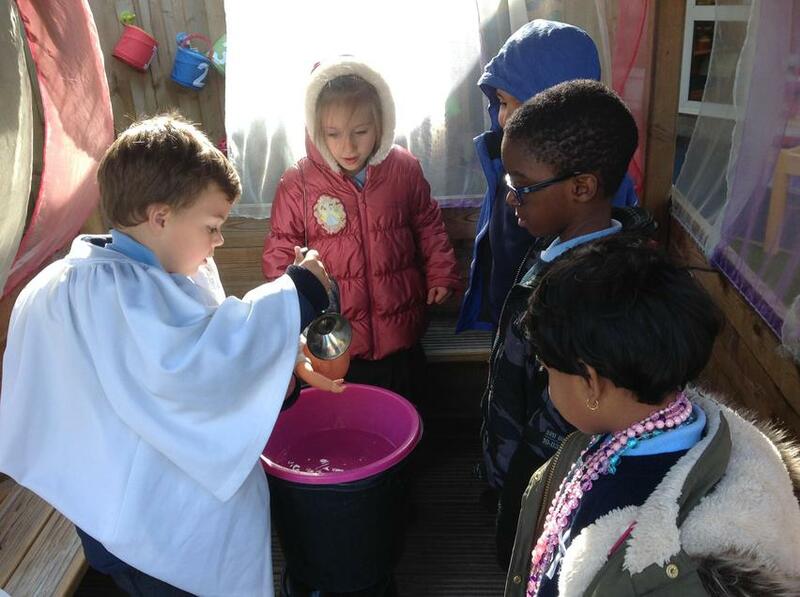 We role played Baby Mary's baptism. 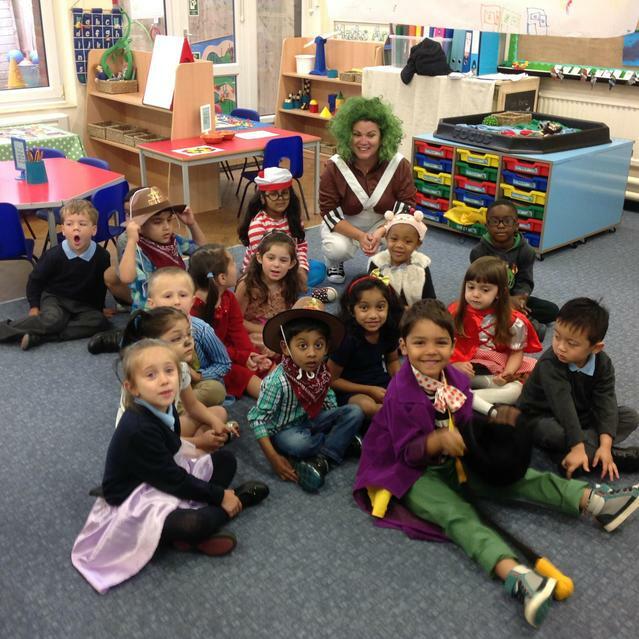 Can you remember who played which role? 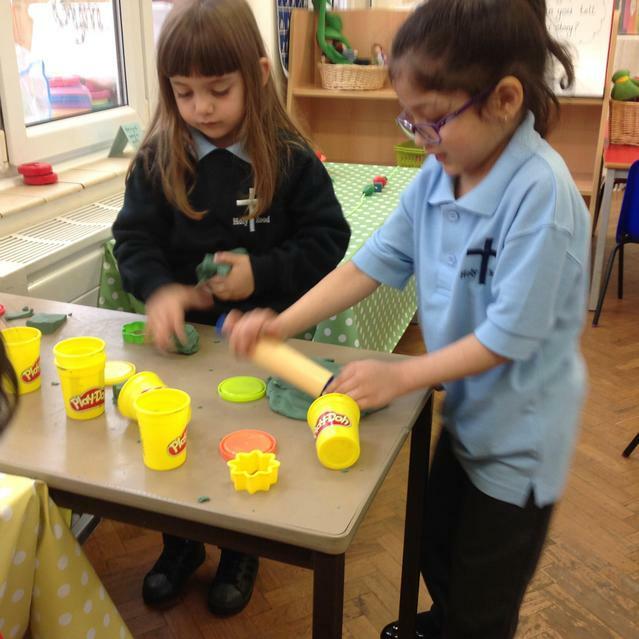 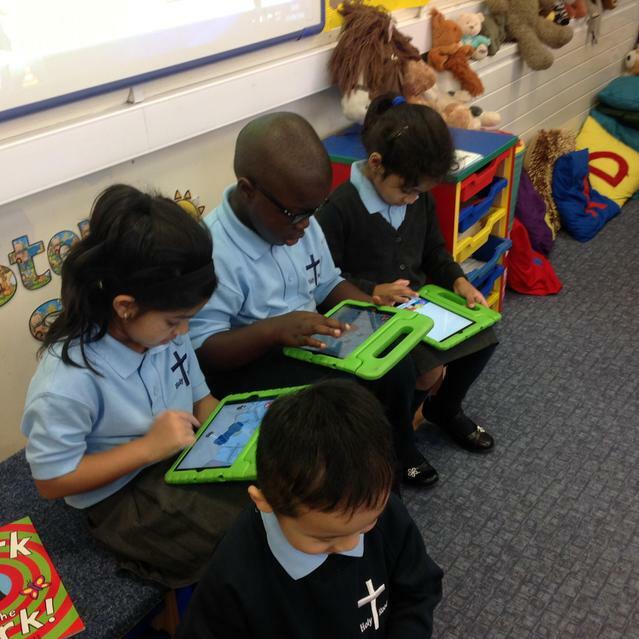 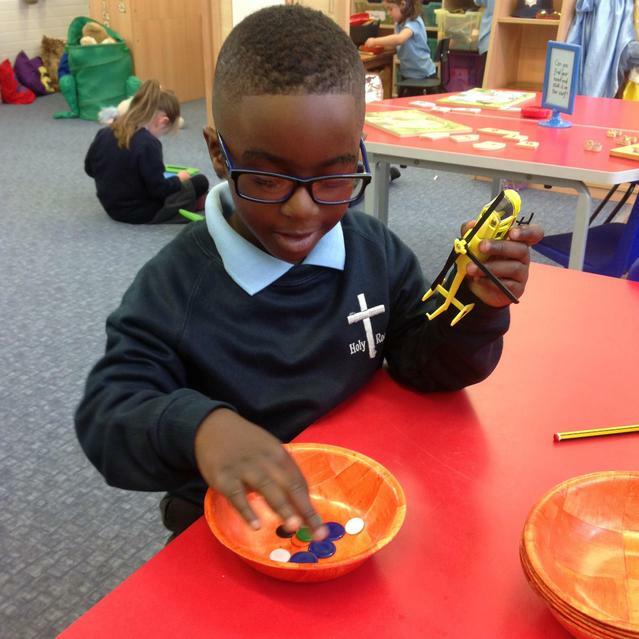 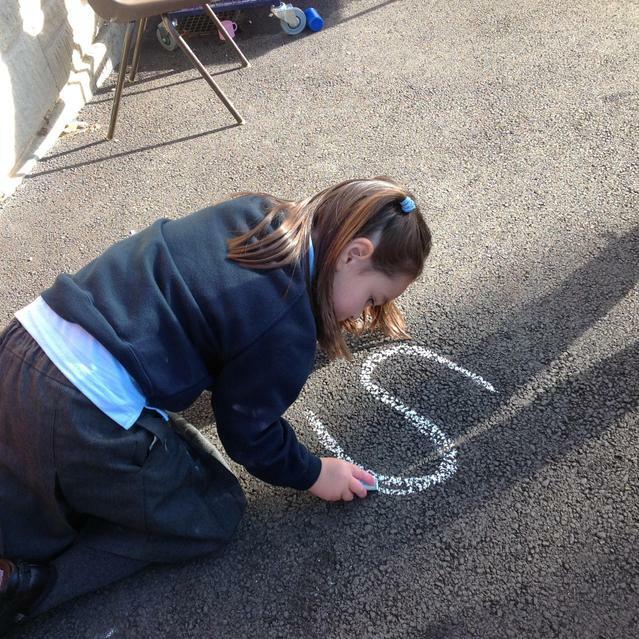 Starting Phonics. 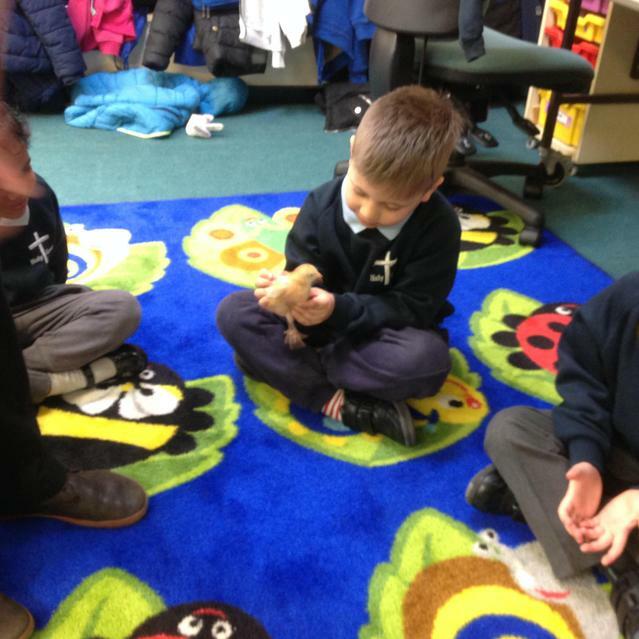 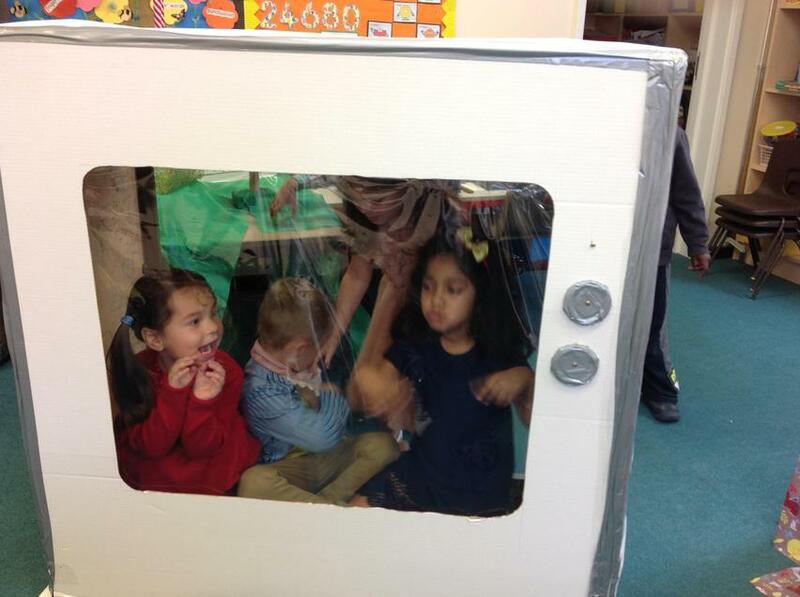 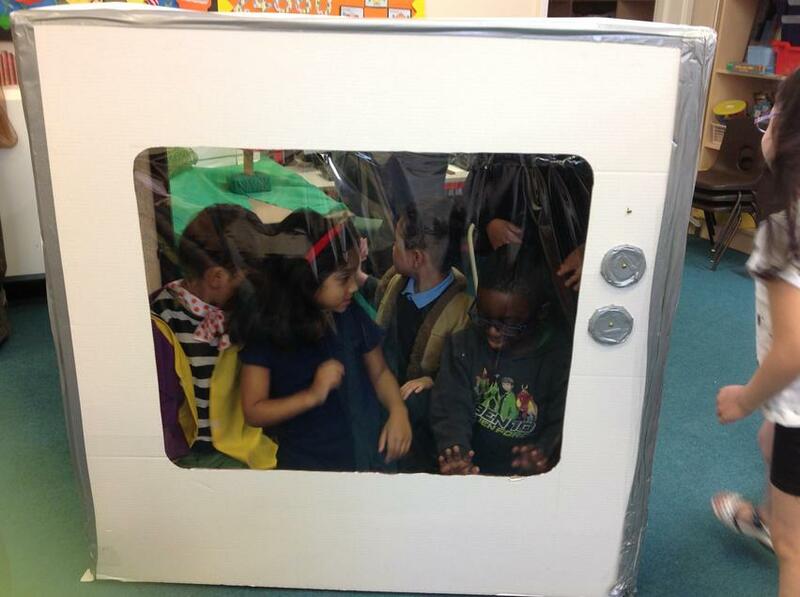 This has been an exciting week, as we've begun learning our sounds. 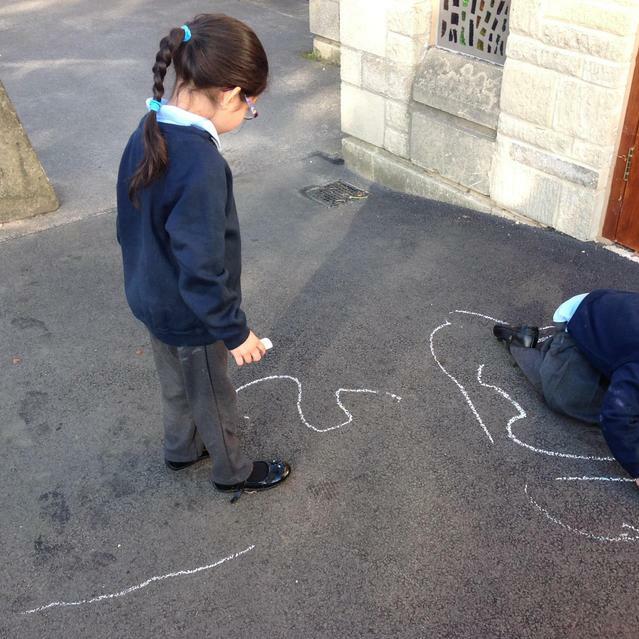 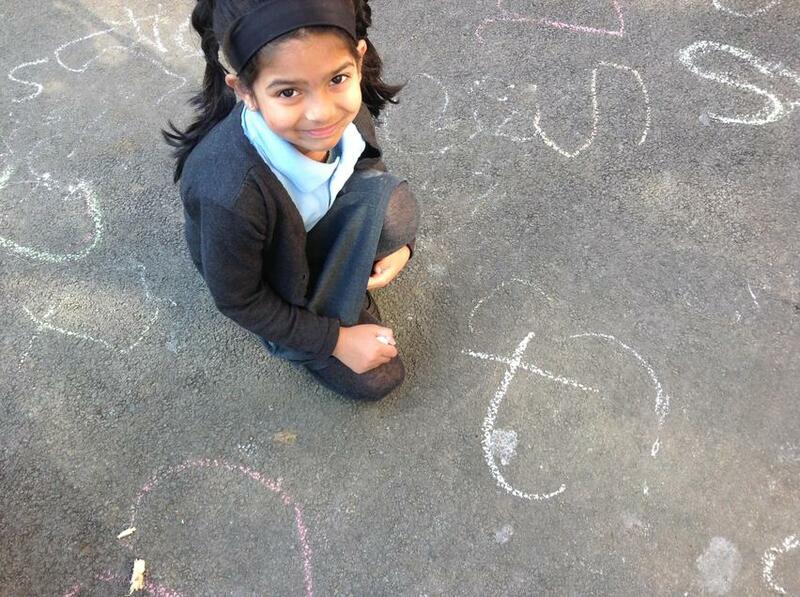 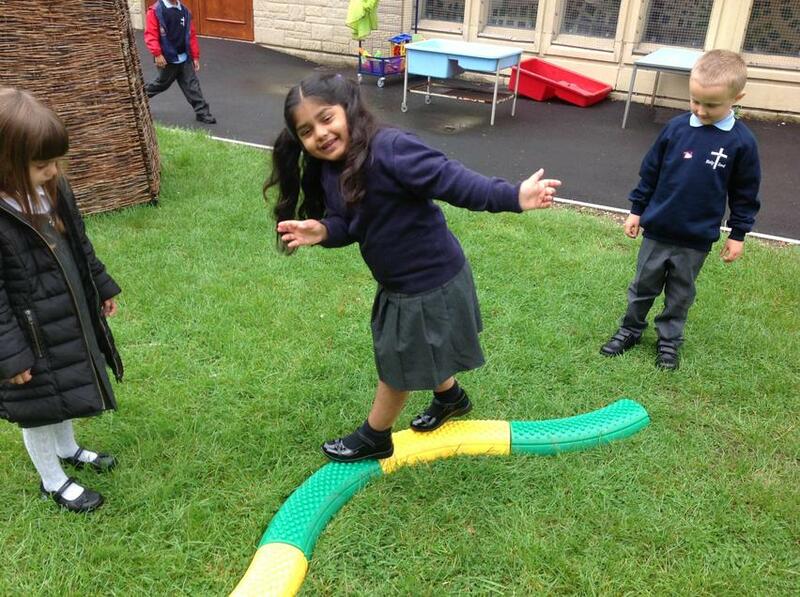 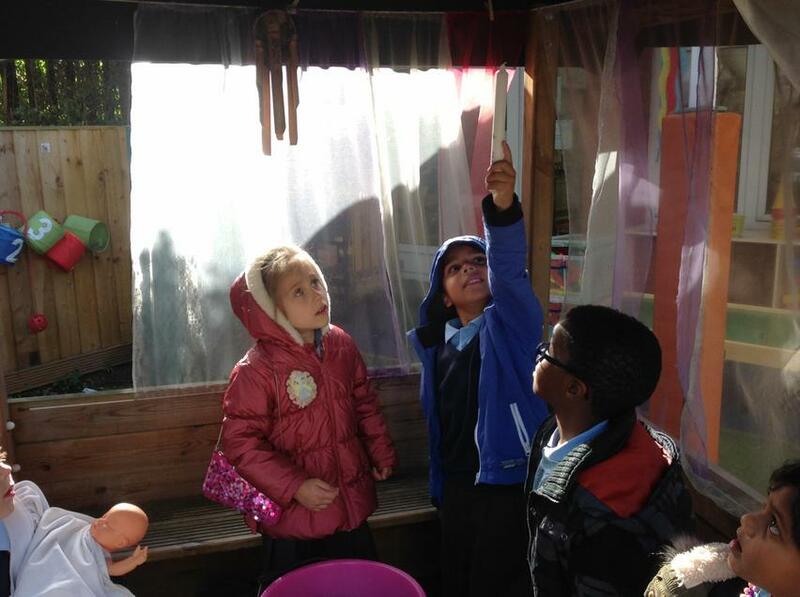 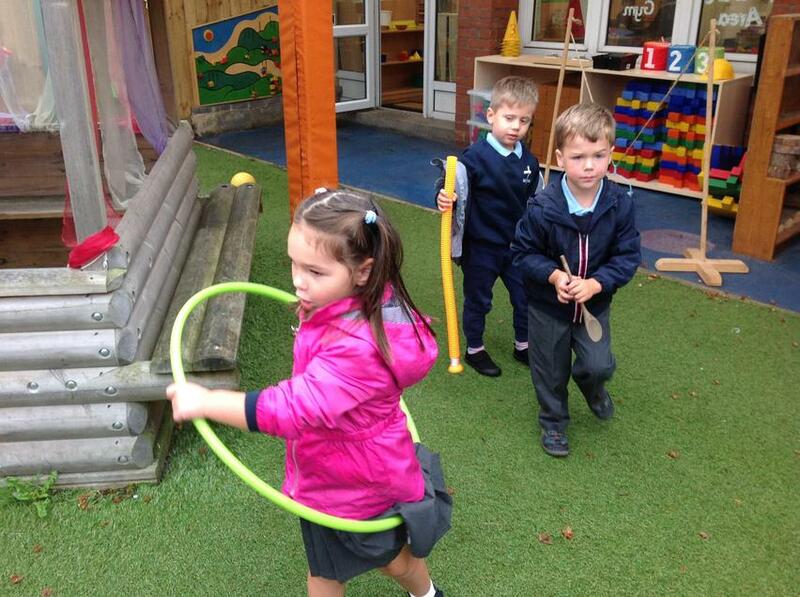 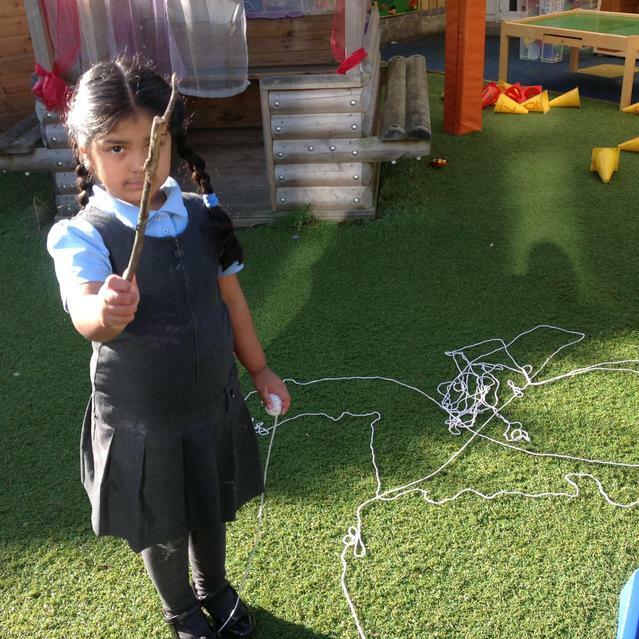 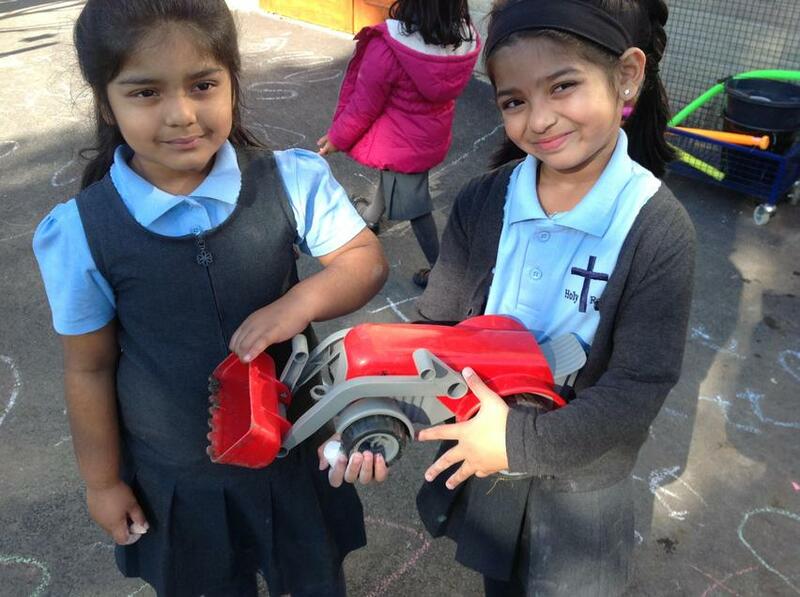 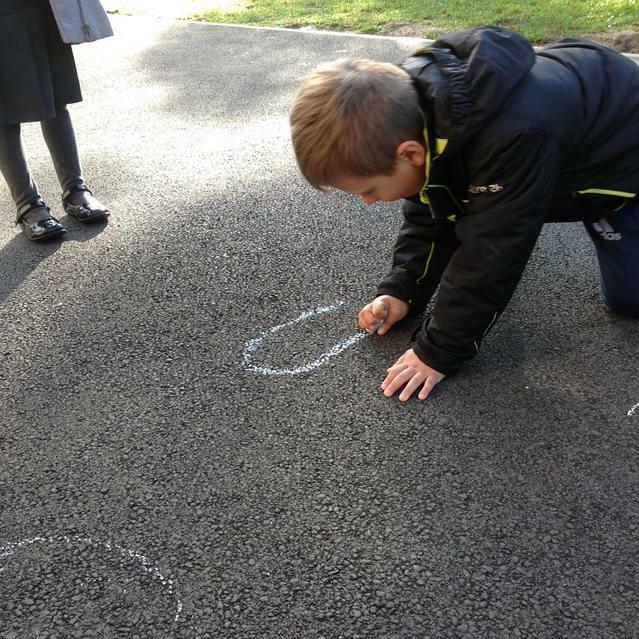 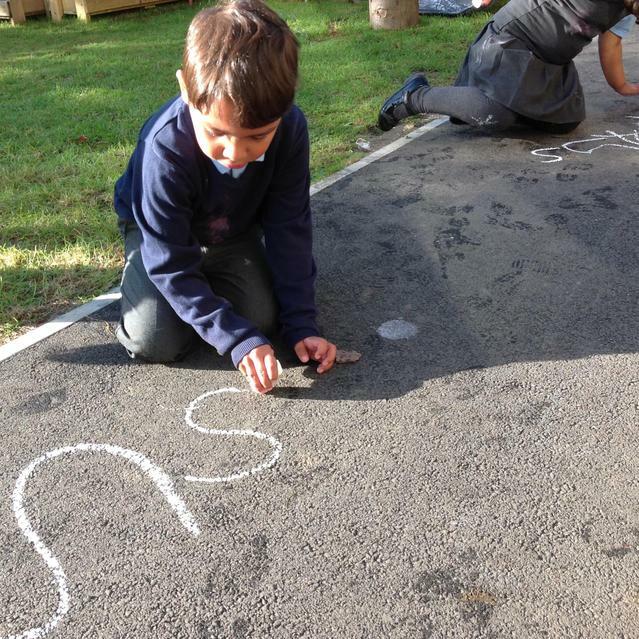 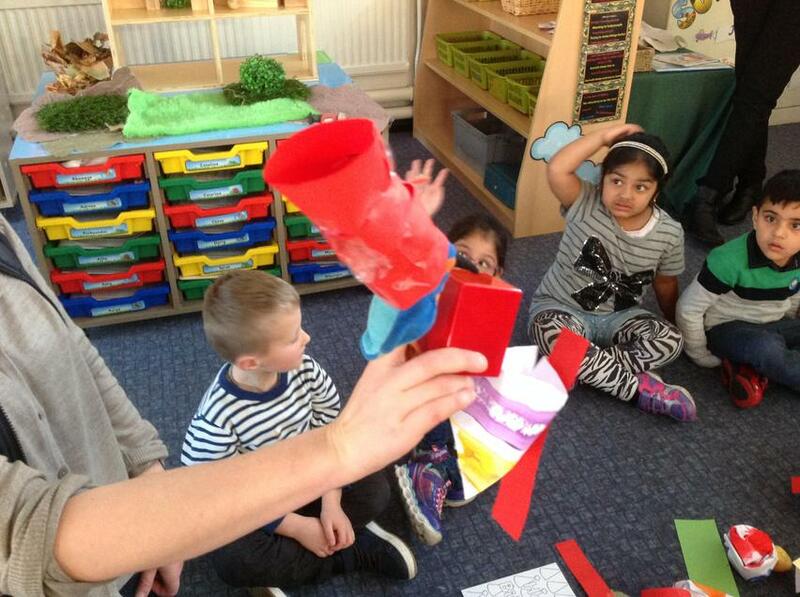 We've been out and about, forming the graphemes and looking for objects with that initial sound. 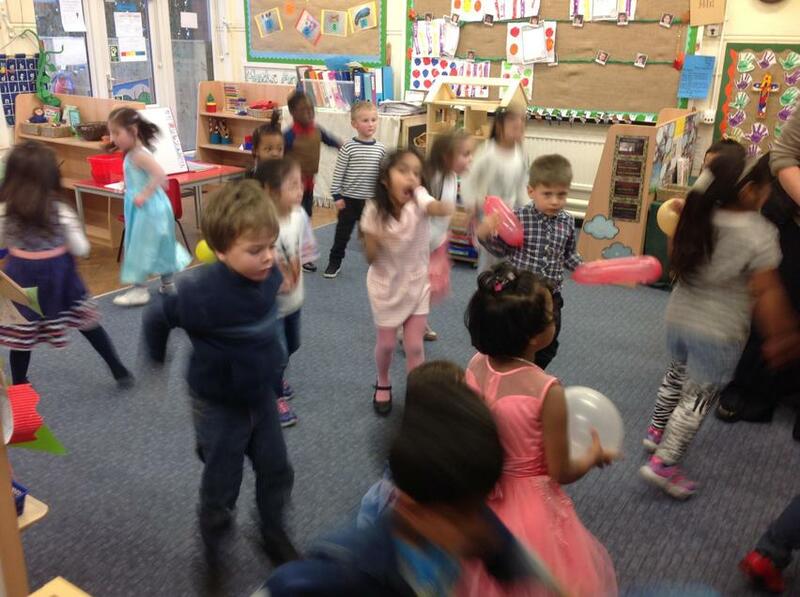 Can you guess which sounds we did first? 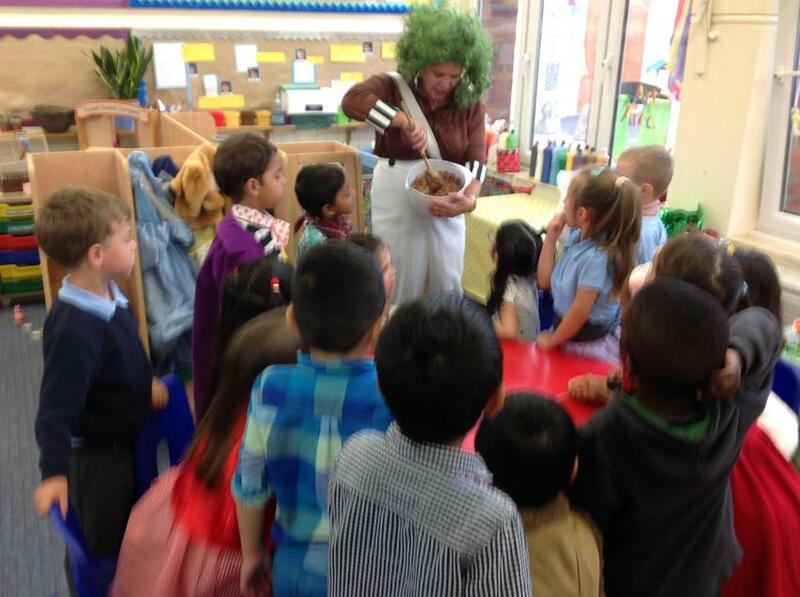 Roald Dahl Day. 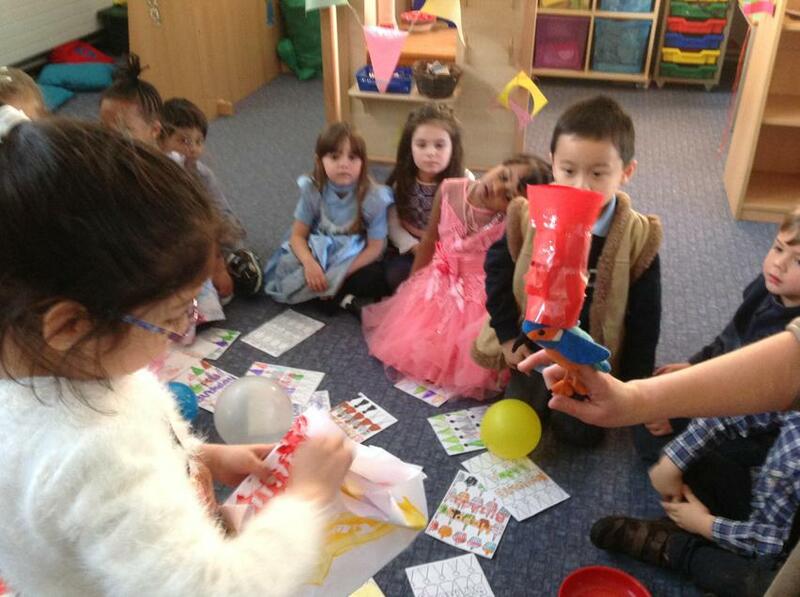 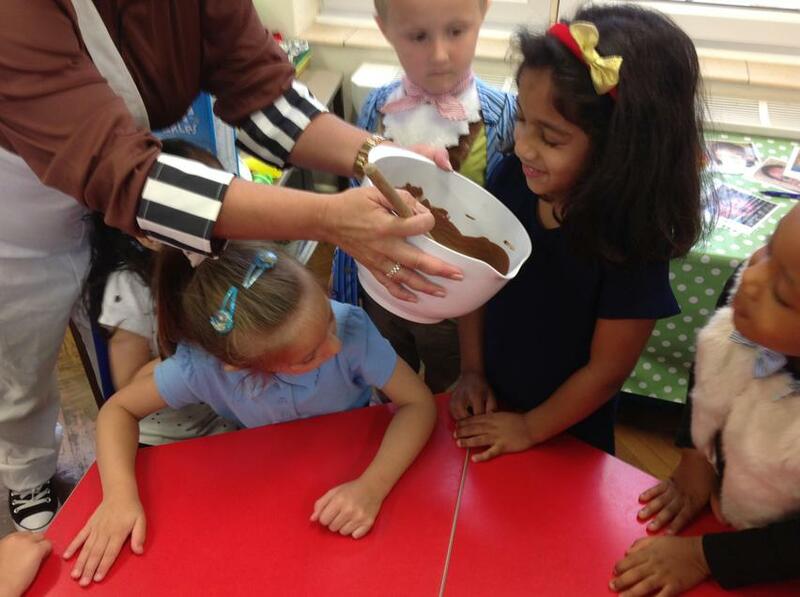 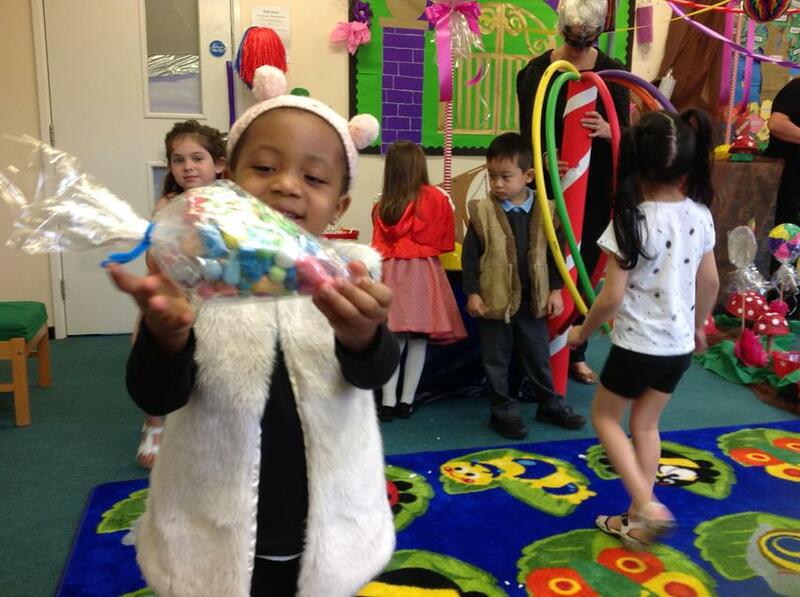 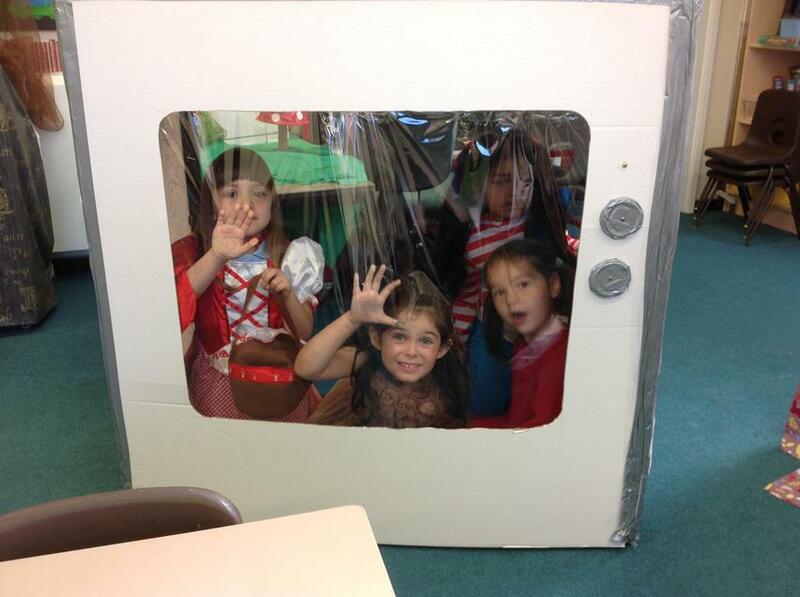 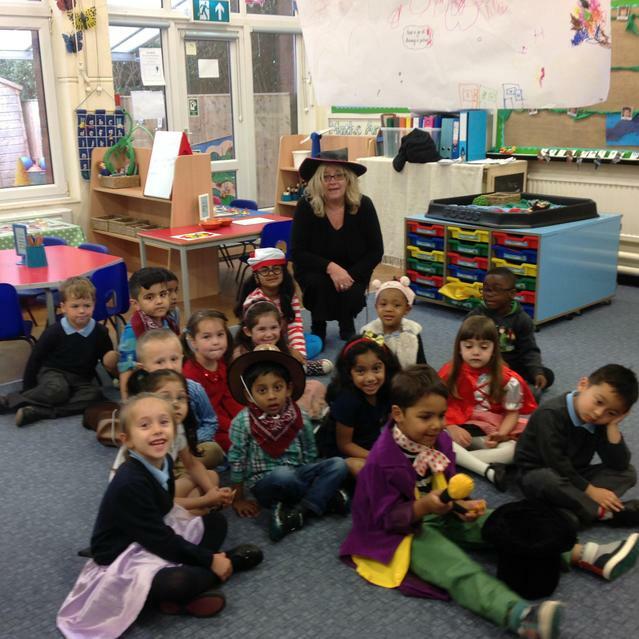 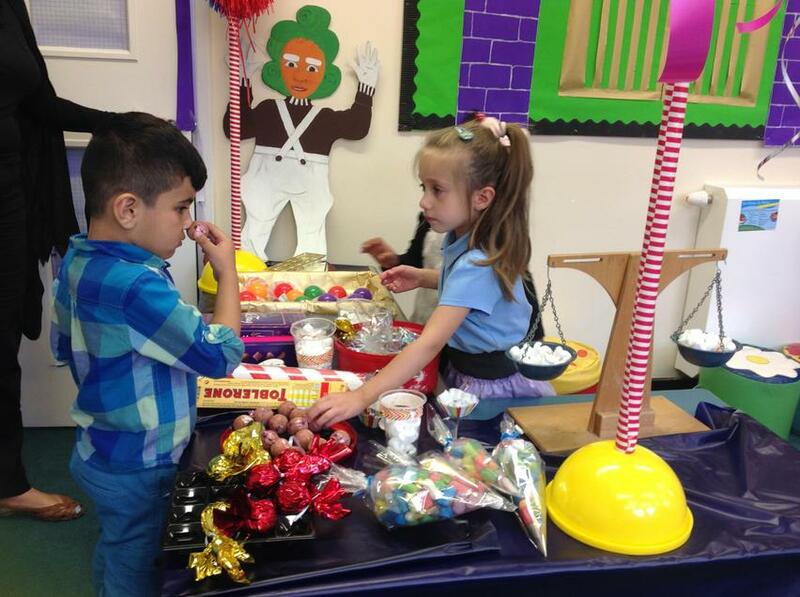 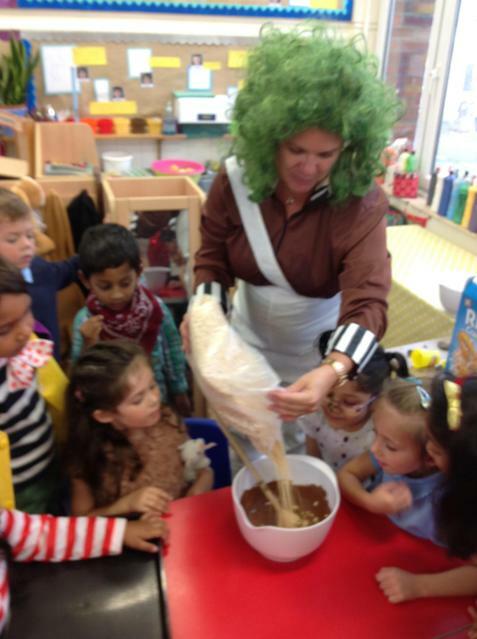 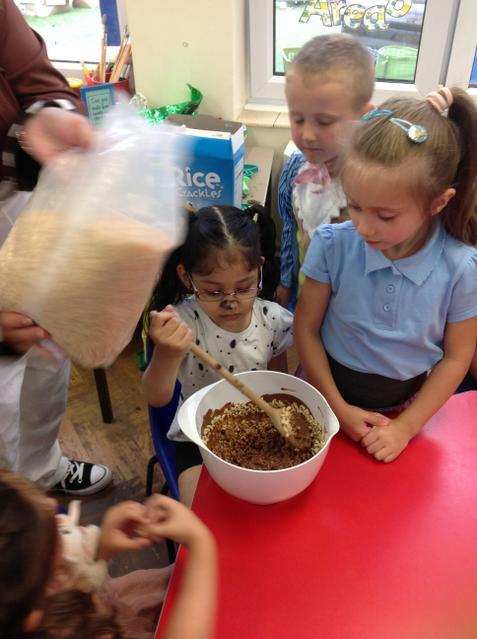 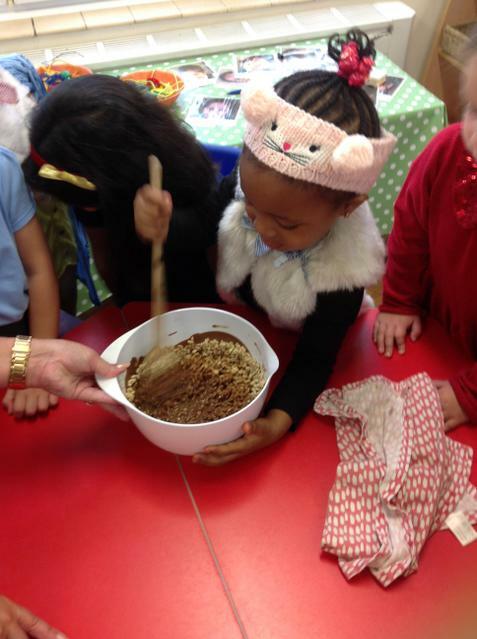 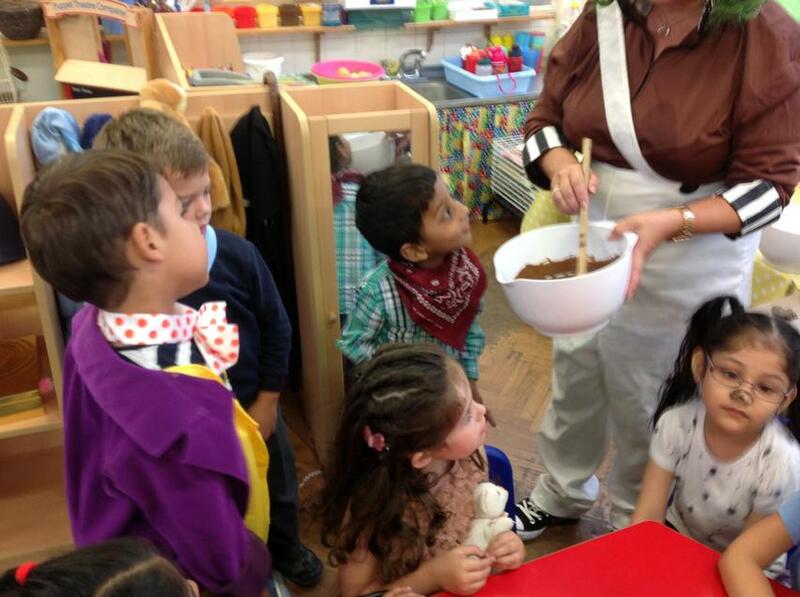 We celebrated what would have been Roald Dahl's hundredth birthday with a whifflescrumptious dressing up day. 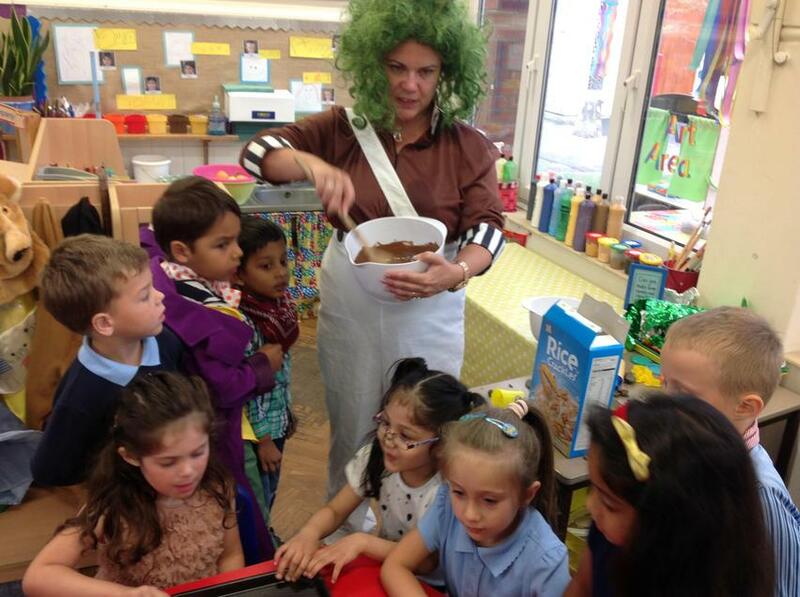 Can you spot anyone you know on the chocolate factory TV? 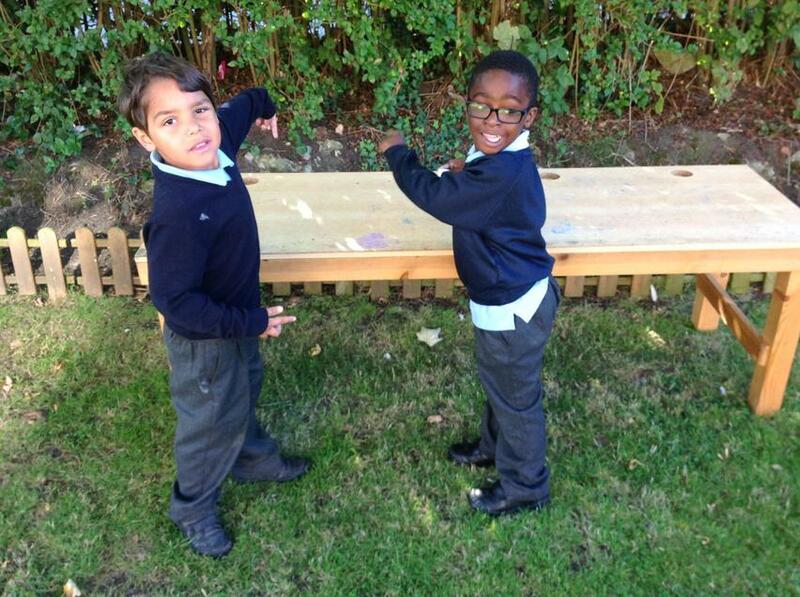 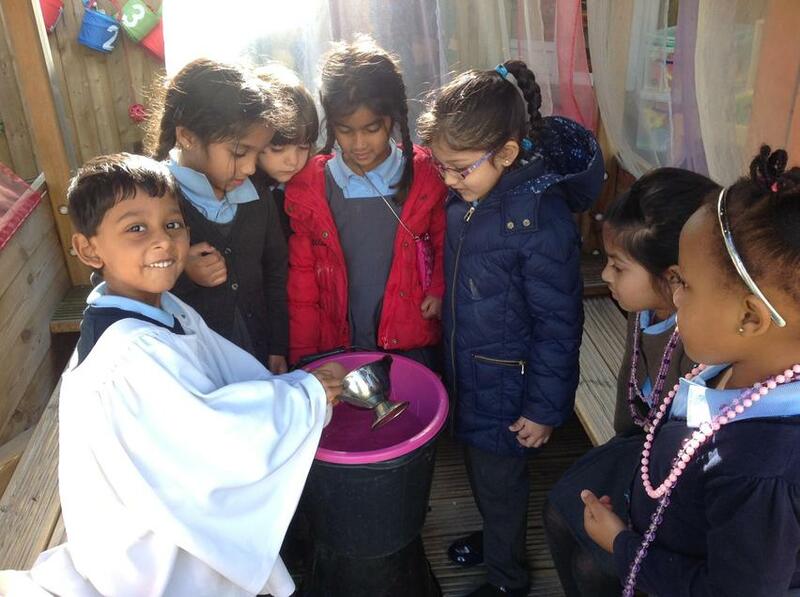 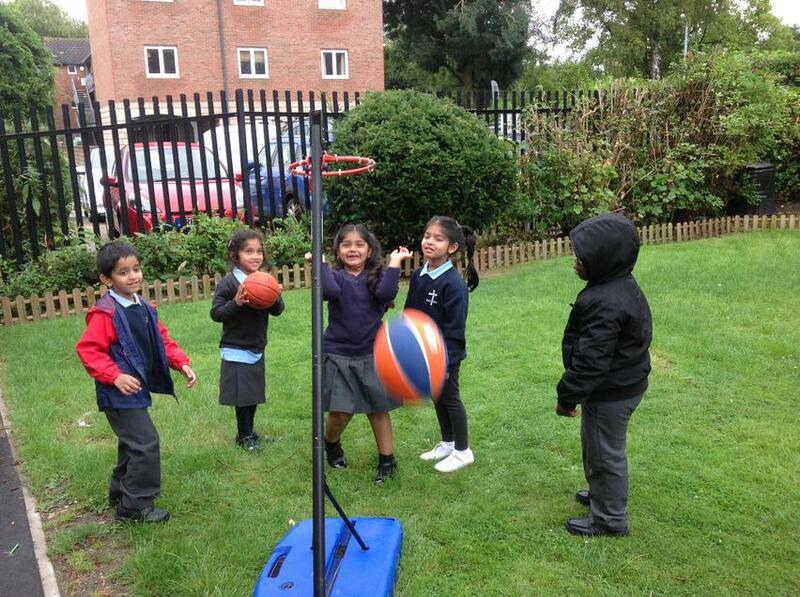 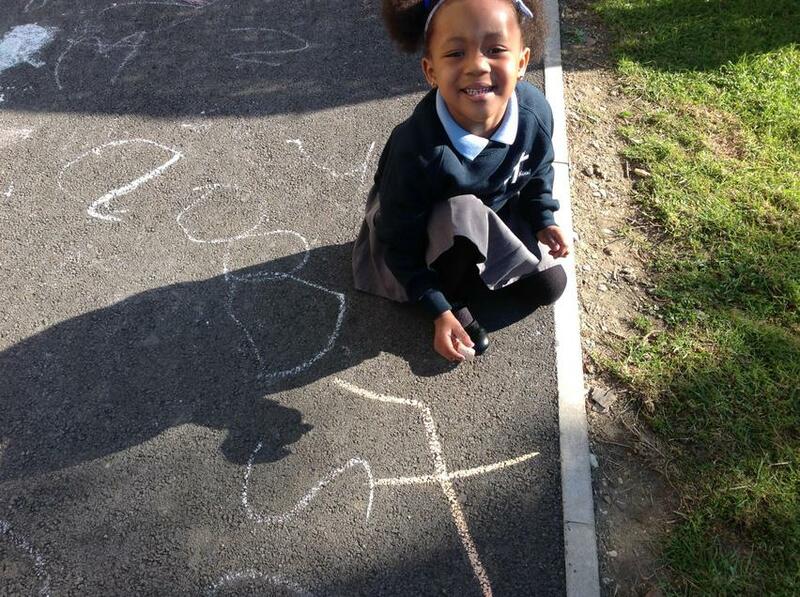 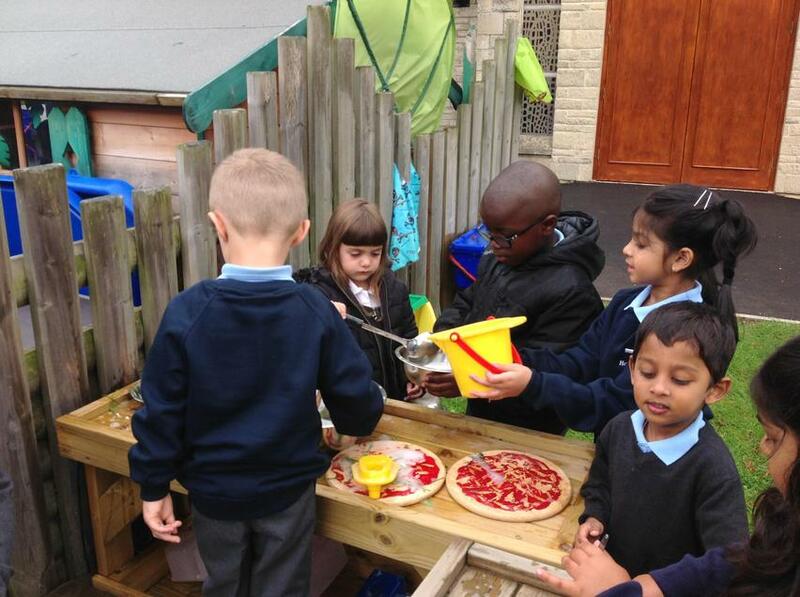 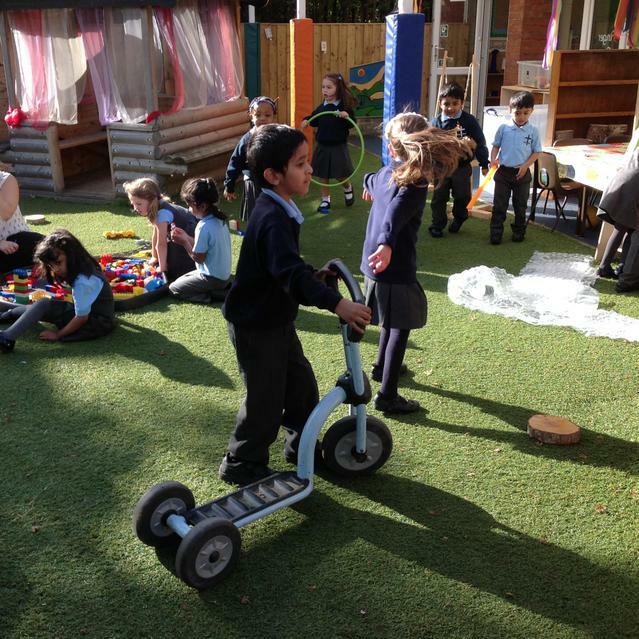 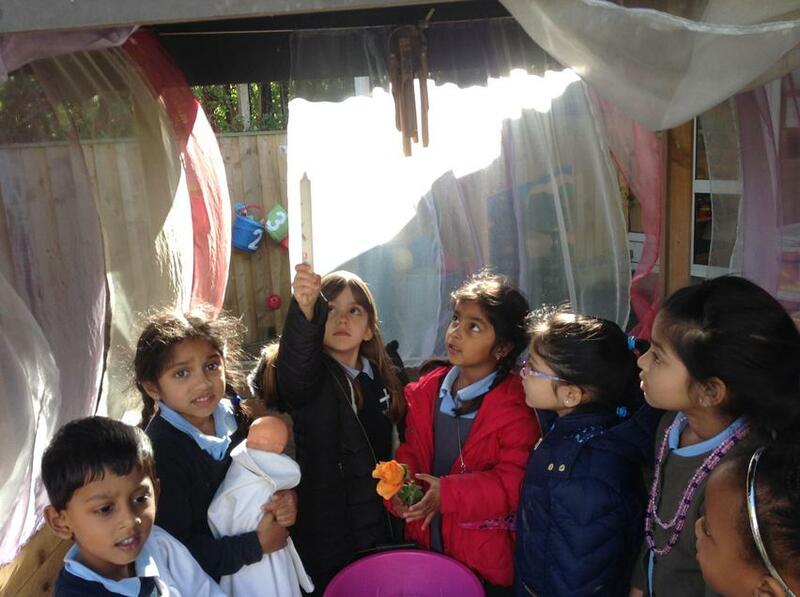 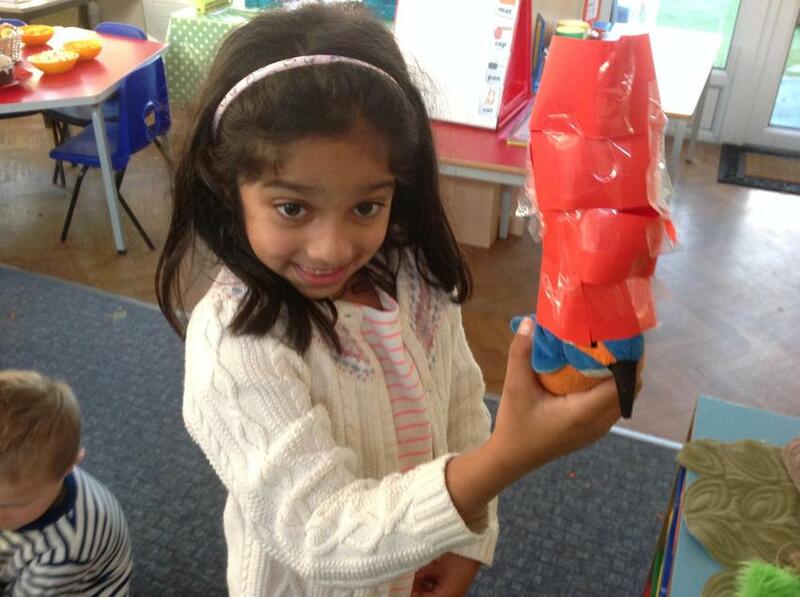 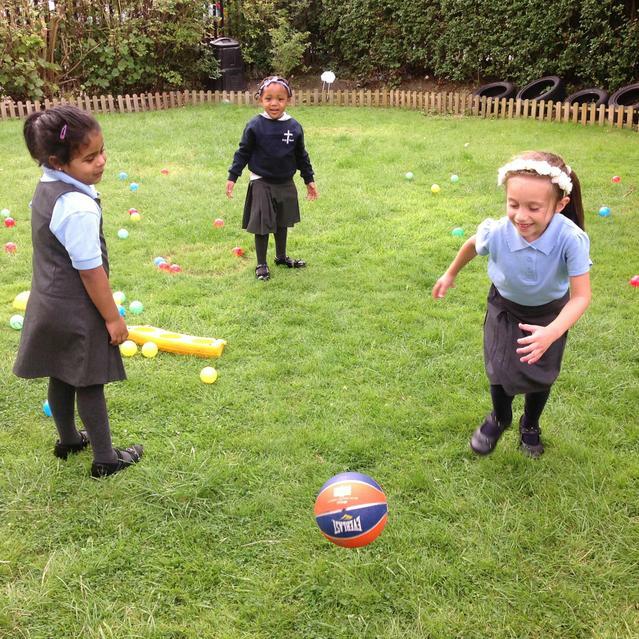 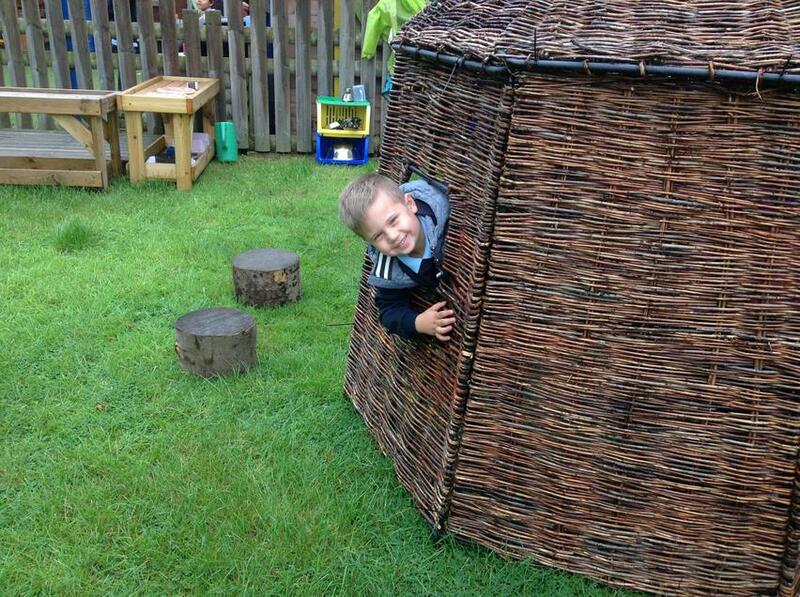 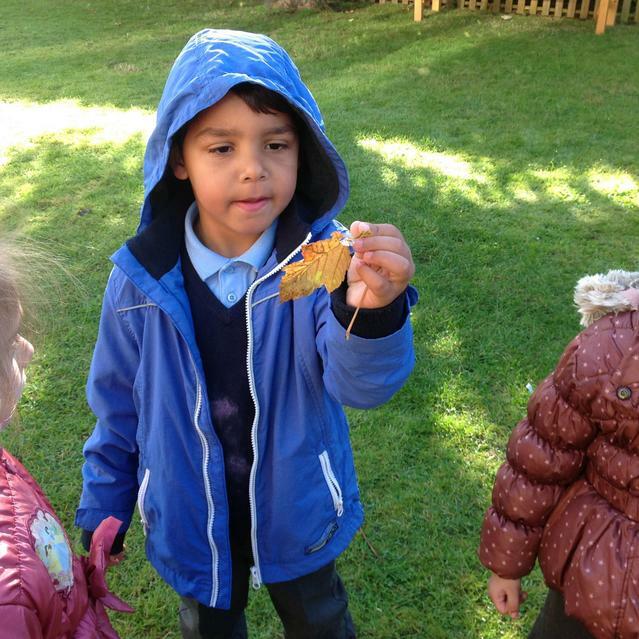 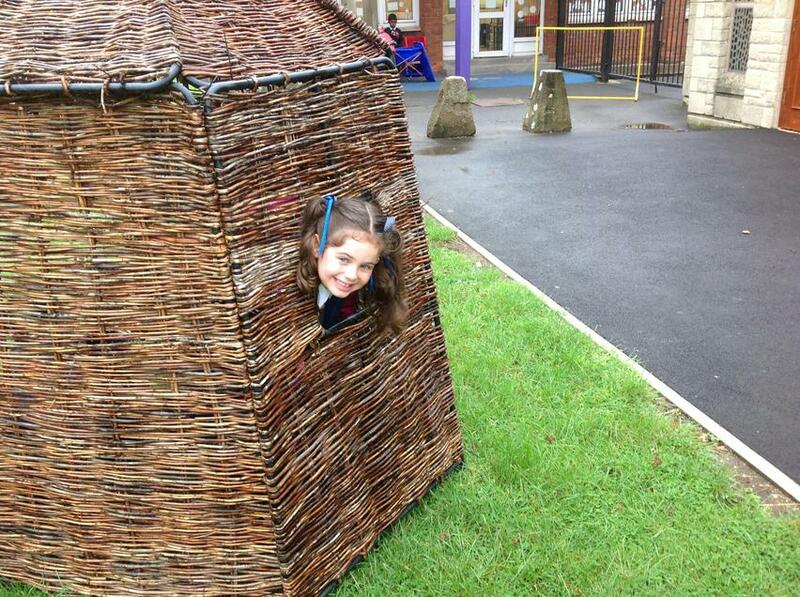 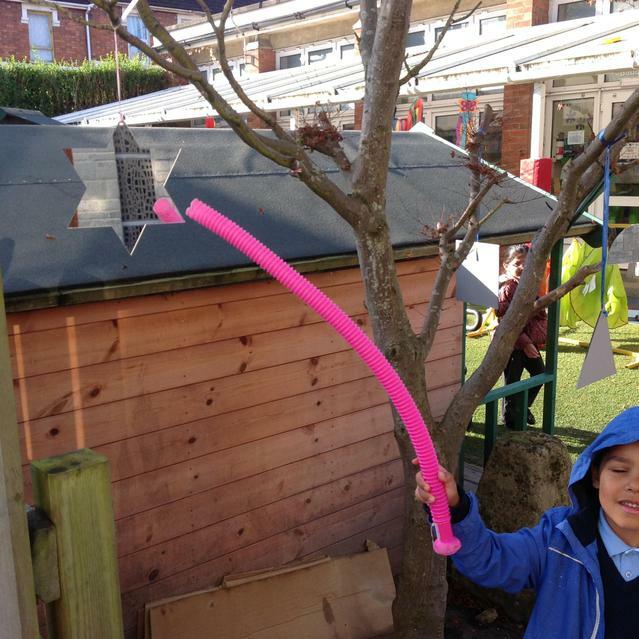 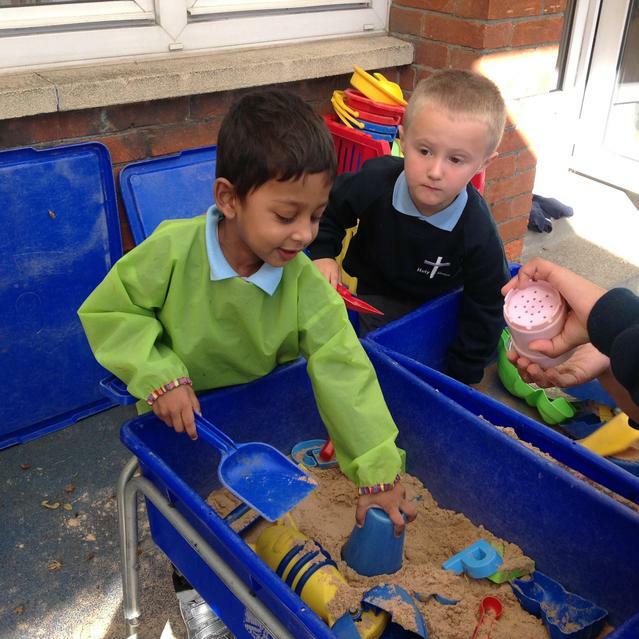 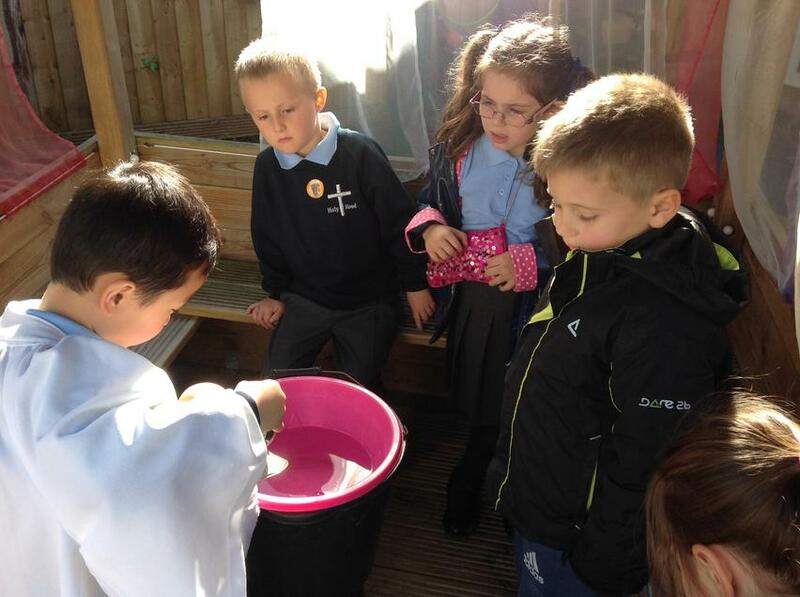 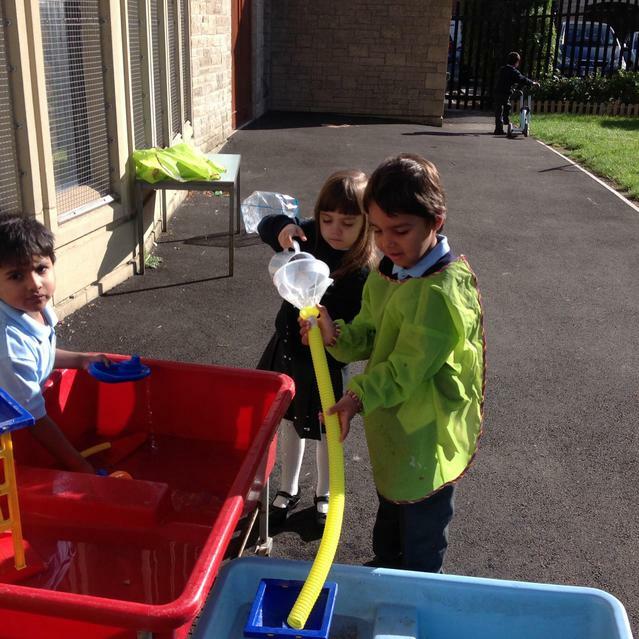 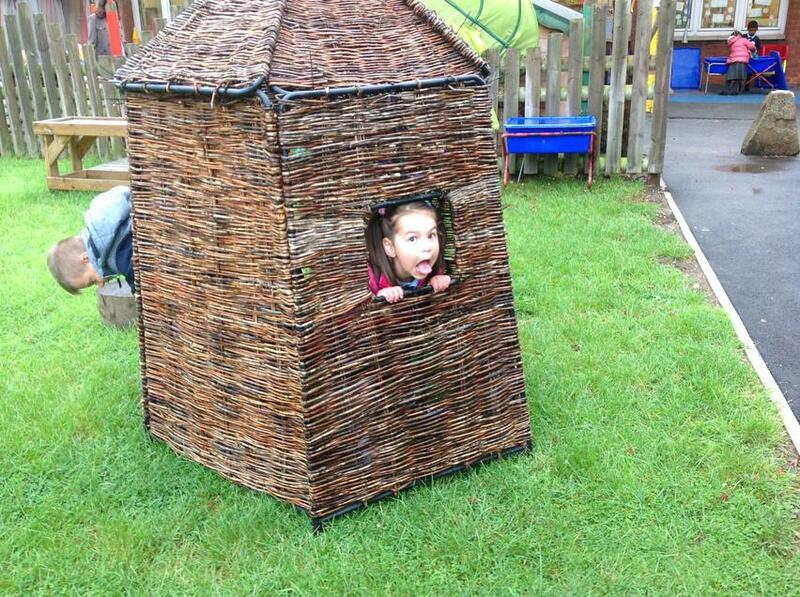 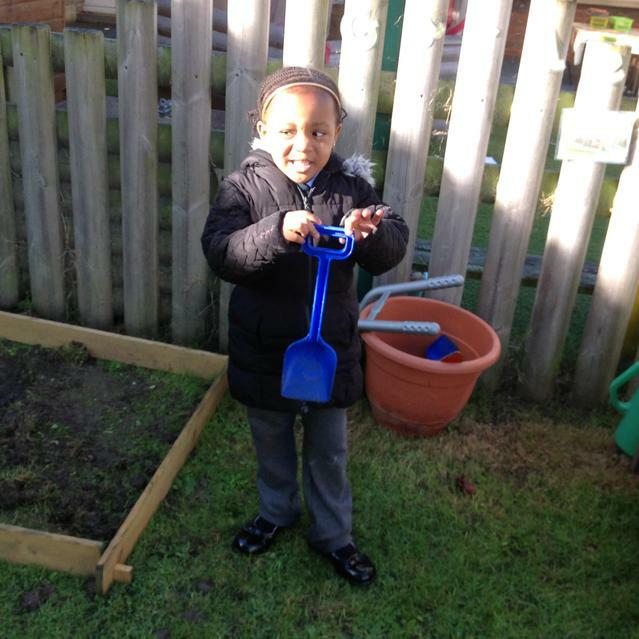 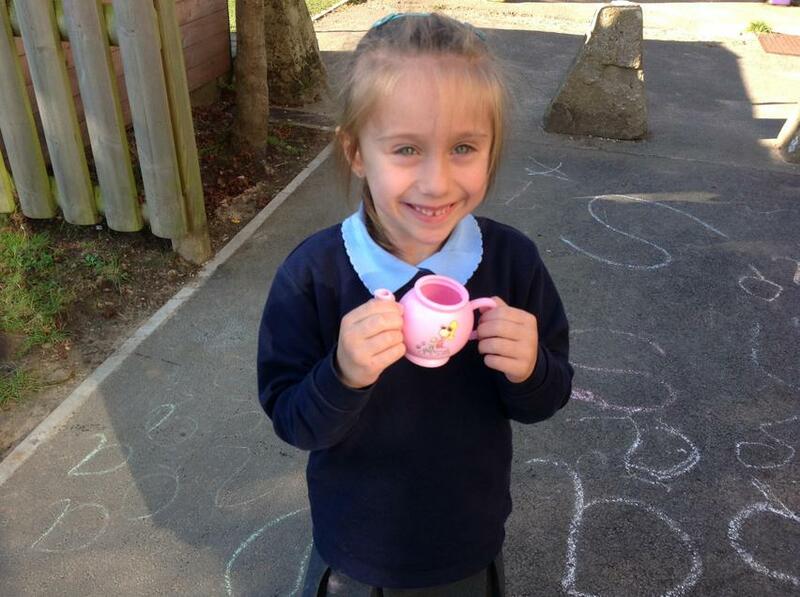 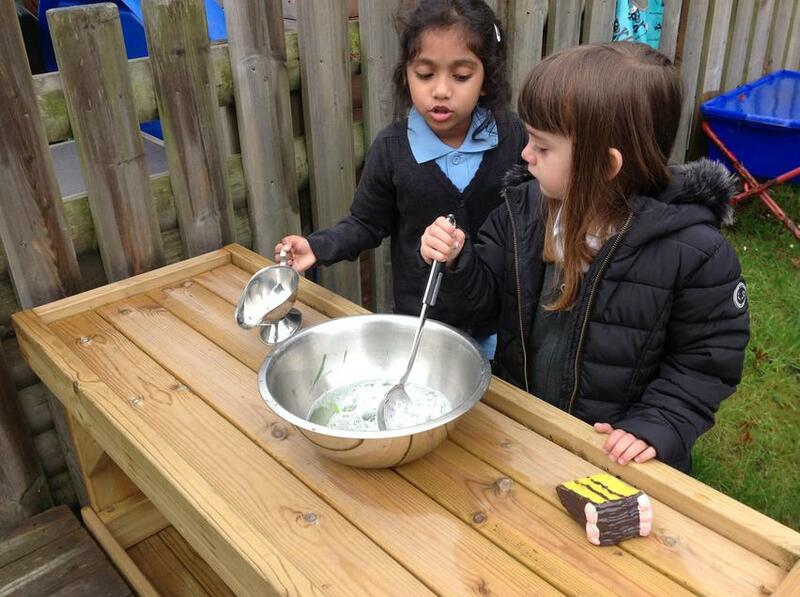 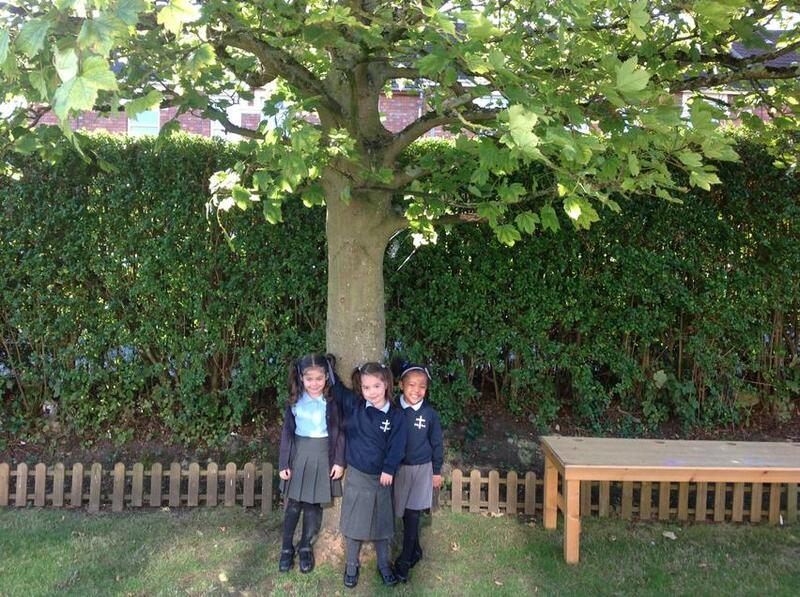 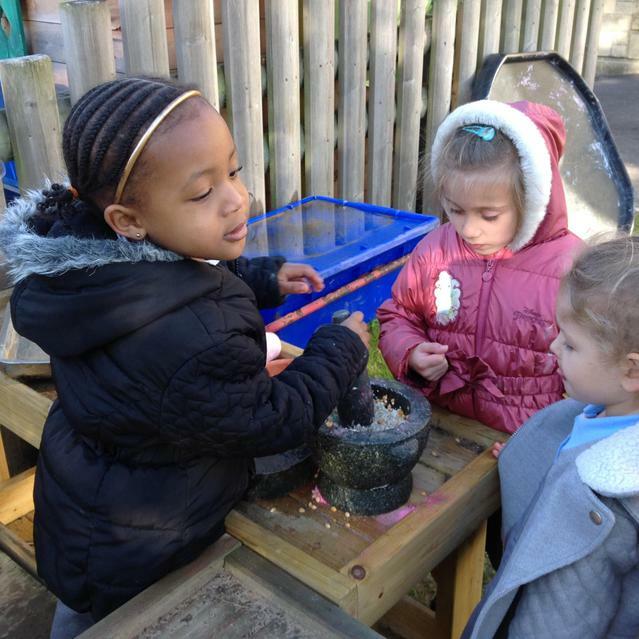 We've been very busy making new friends in Kingfishers - especially outside!